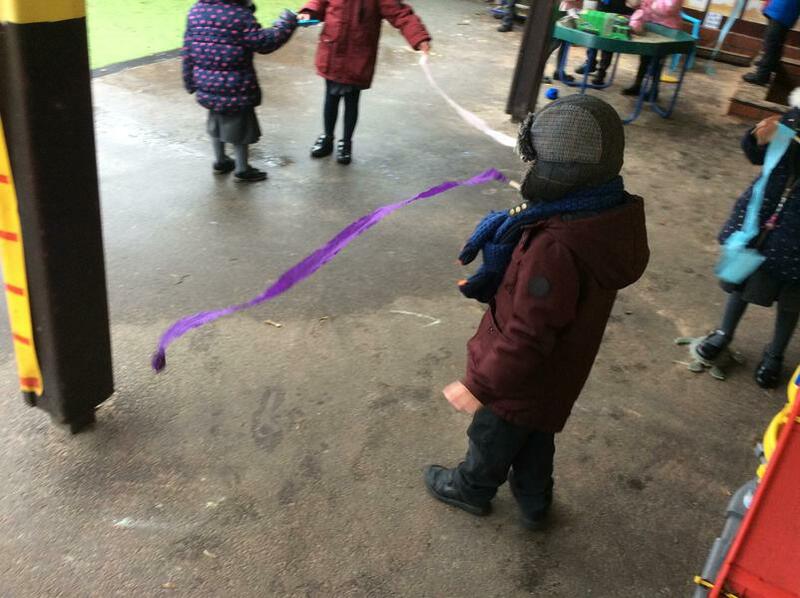 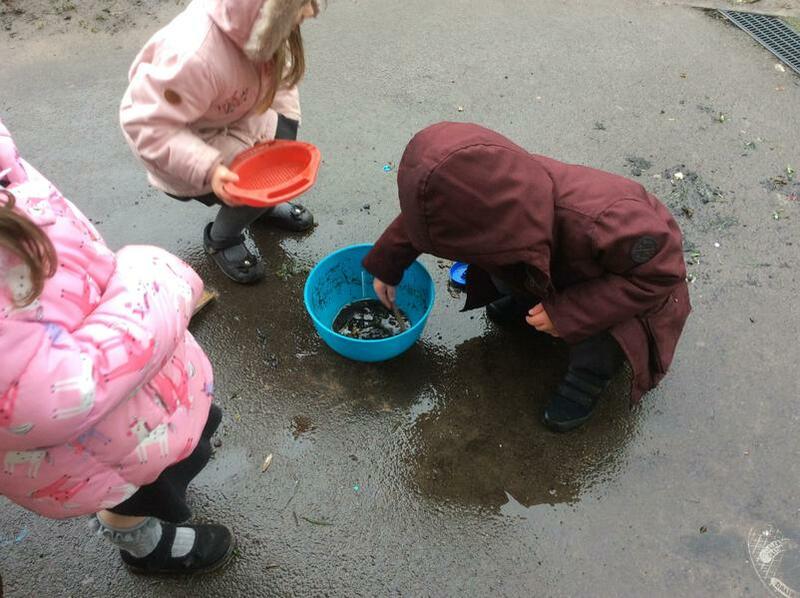 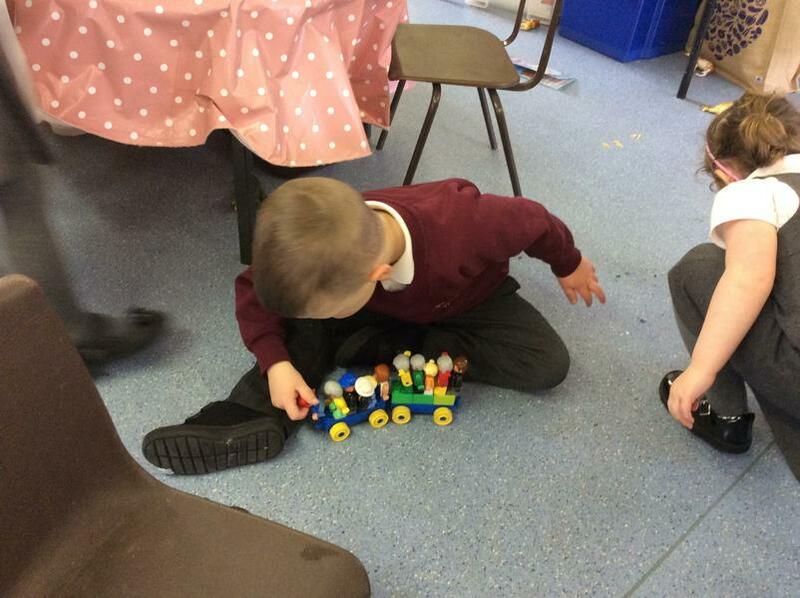 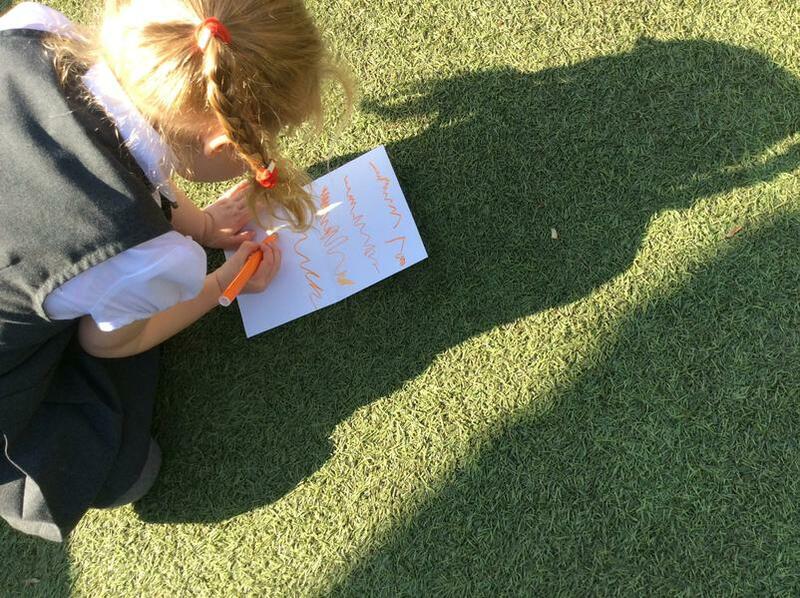 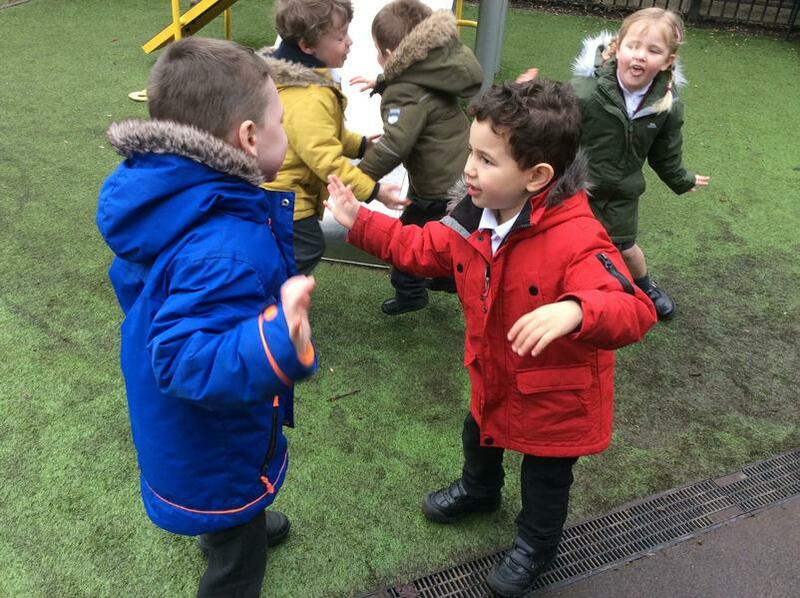 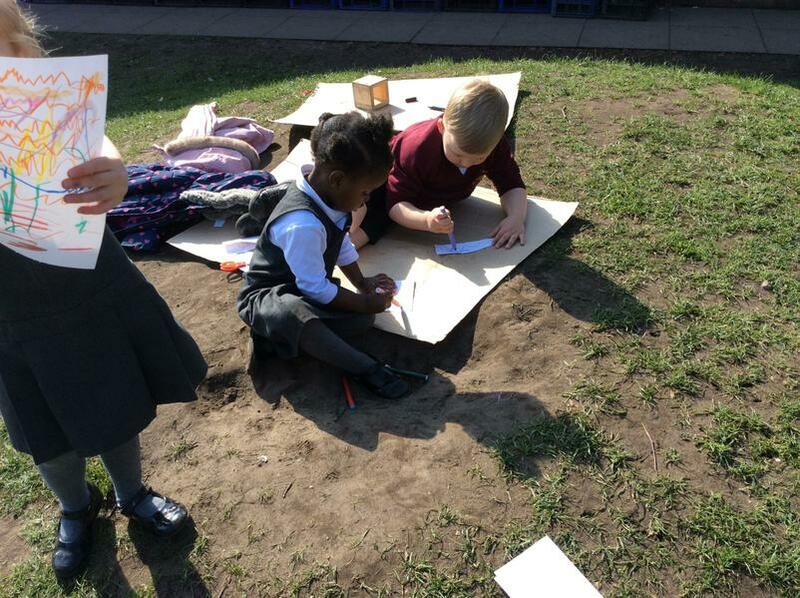 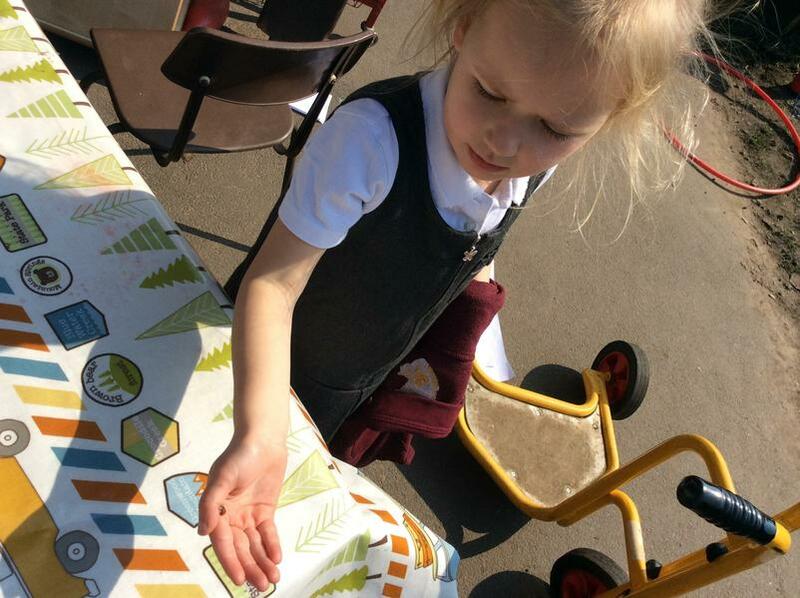 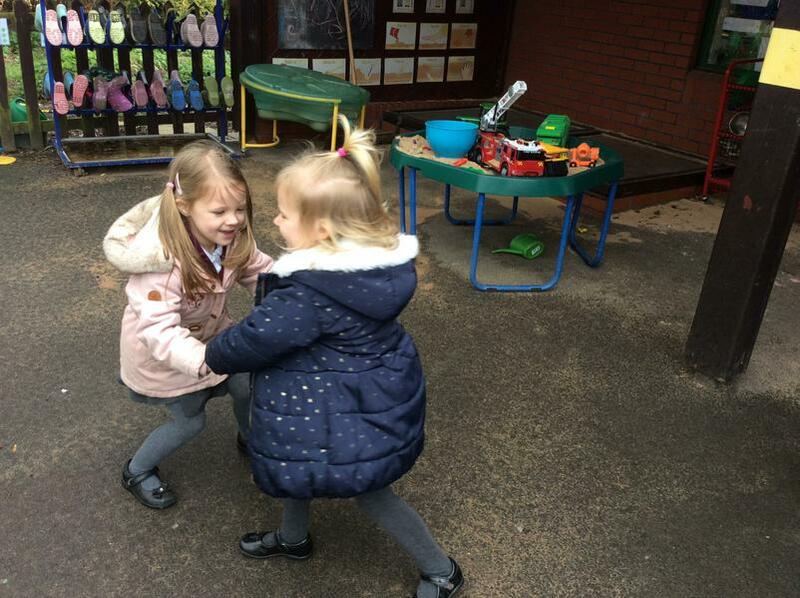 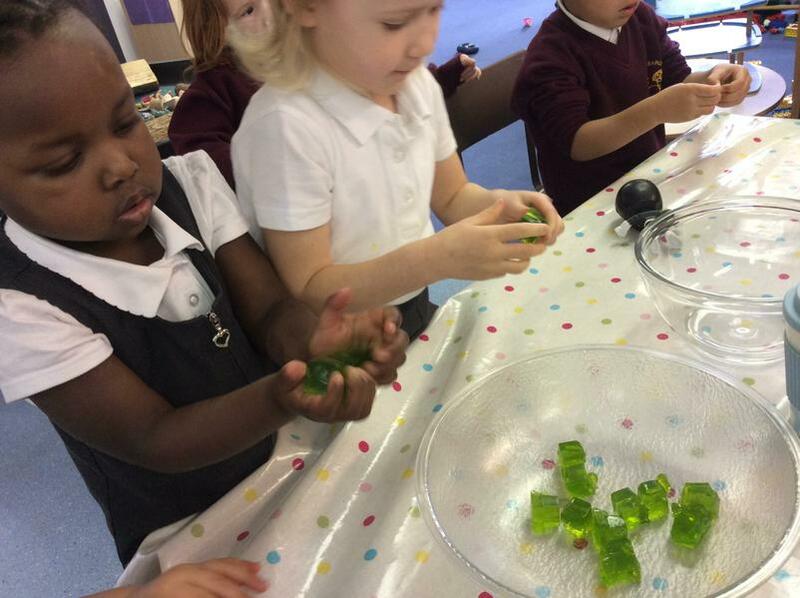 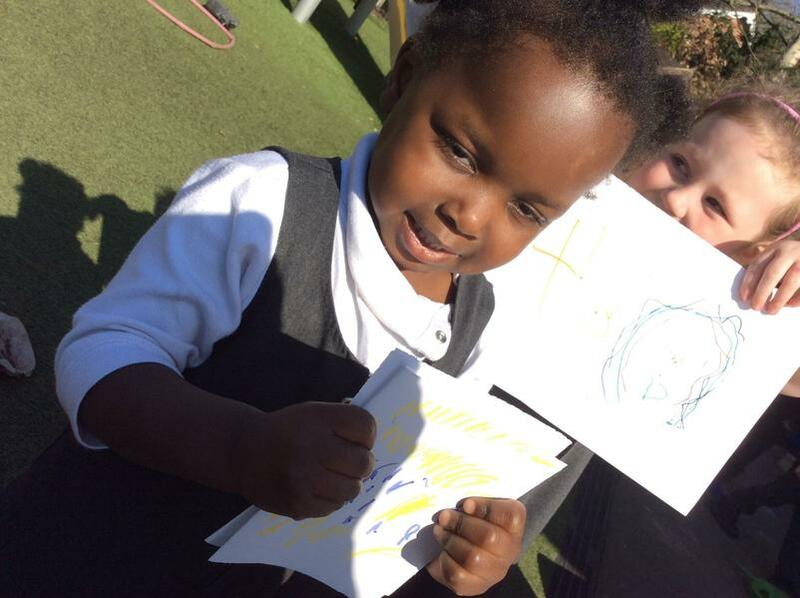 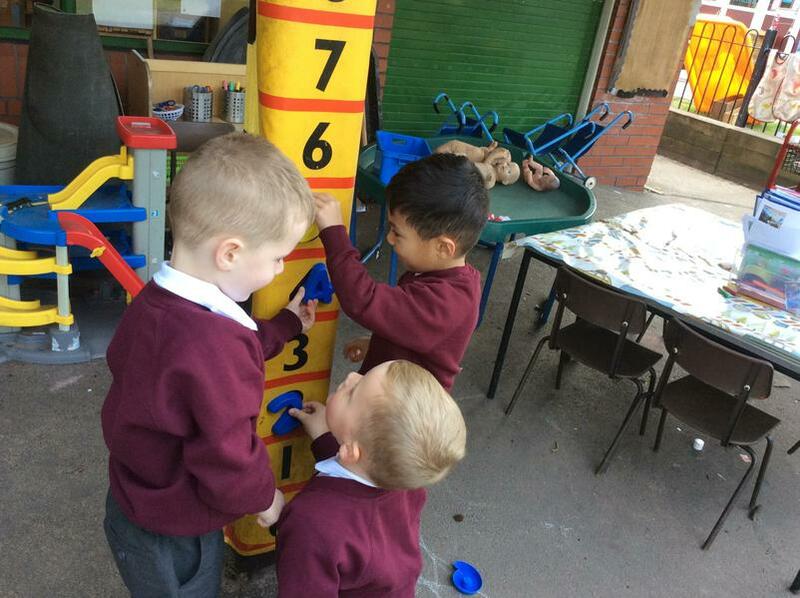 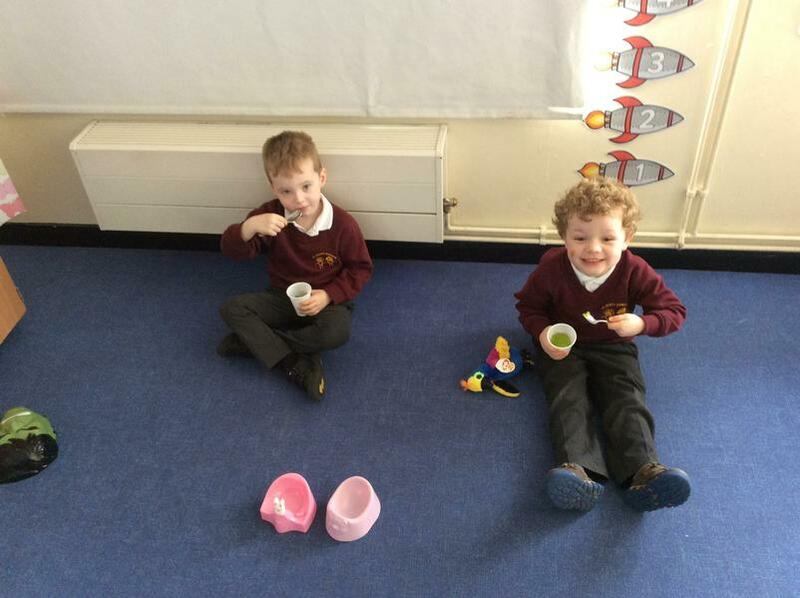 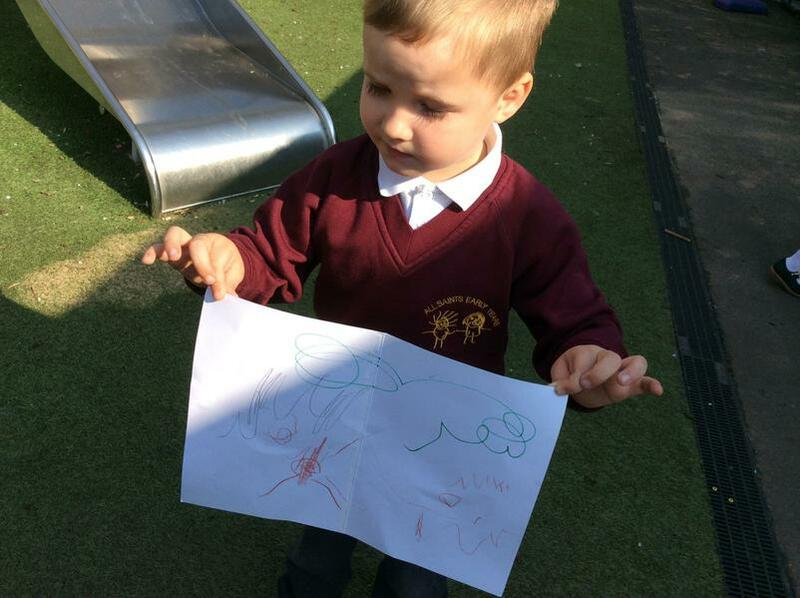 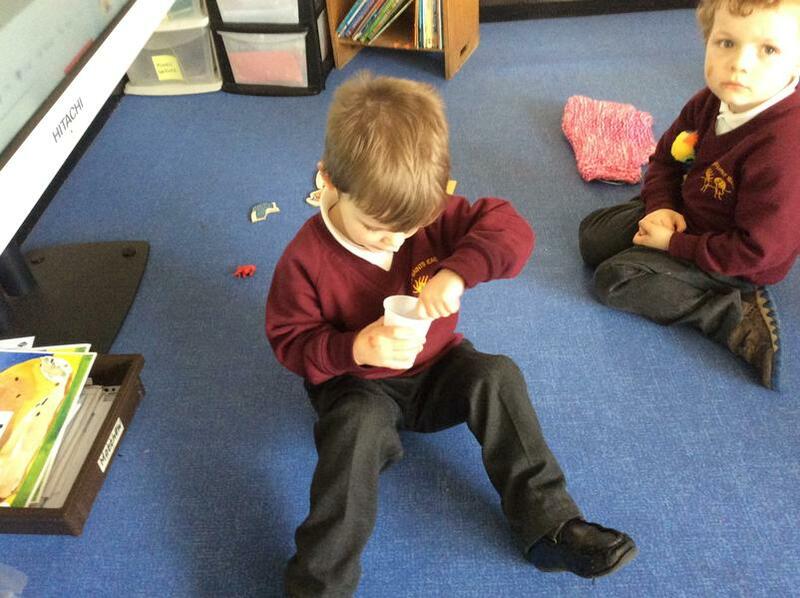 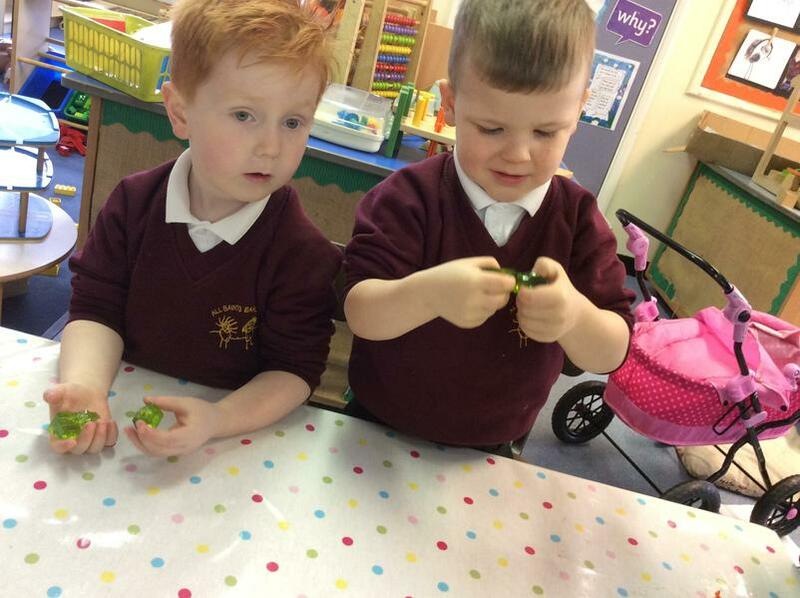 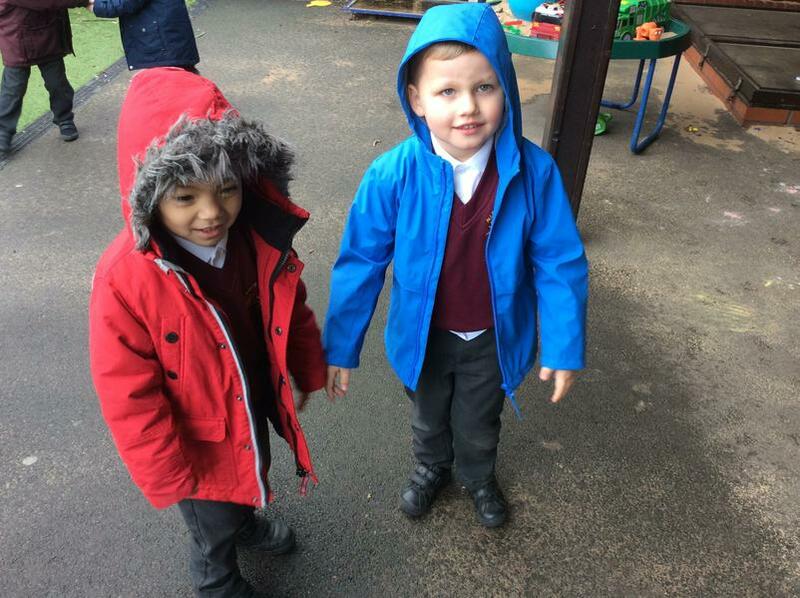 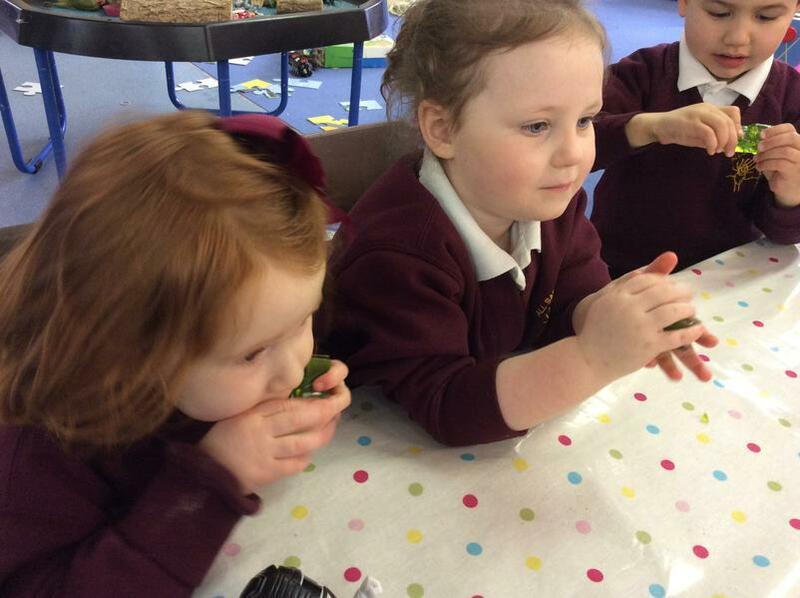 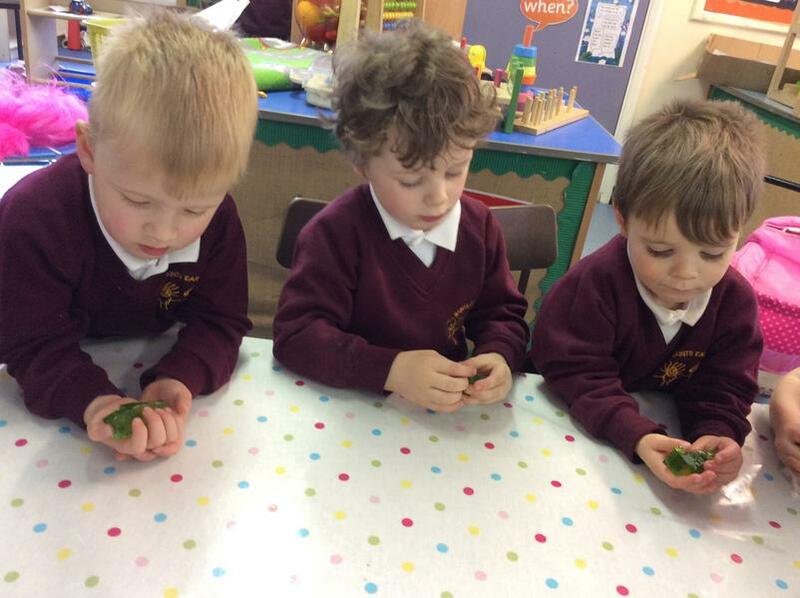 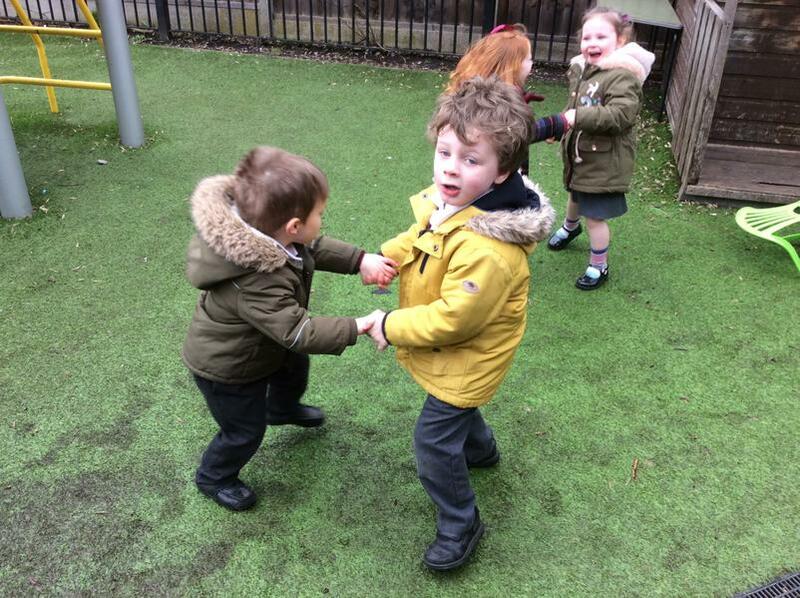 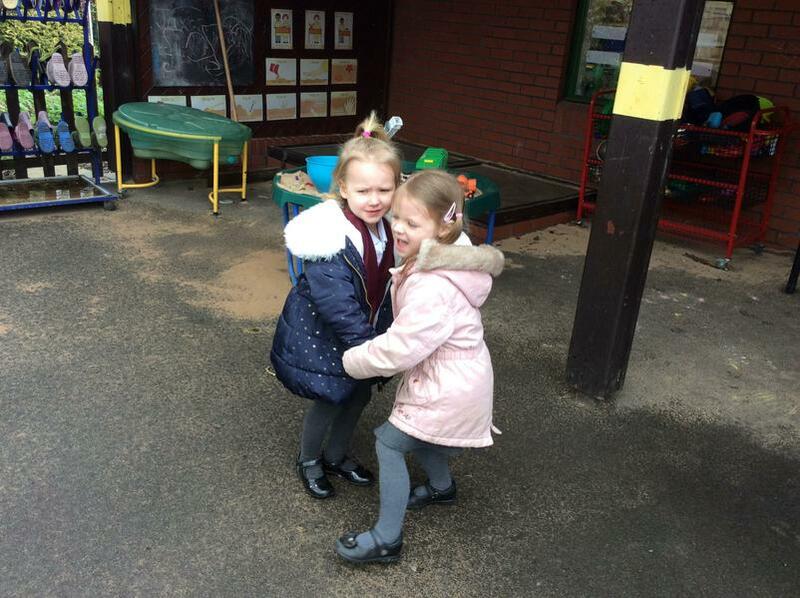 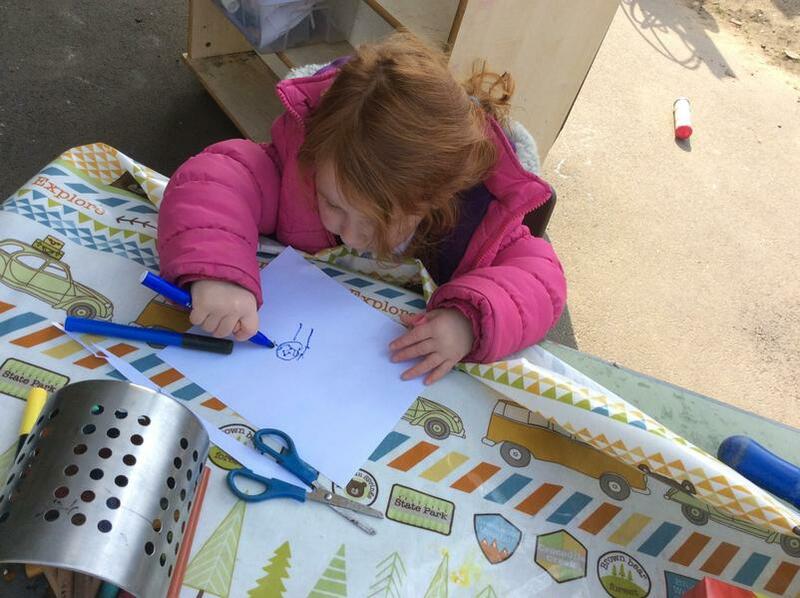 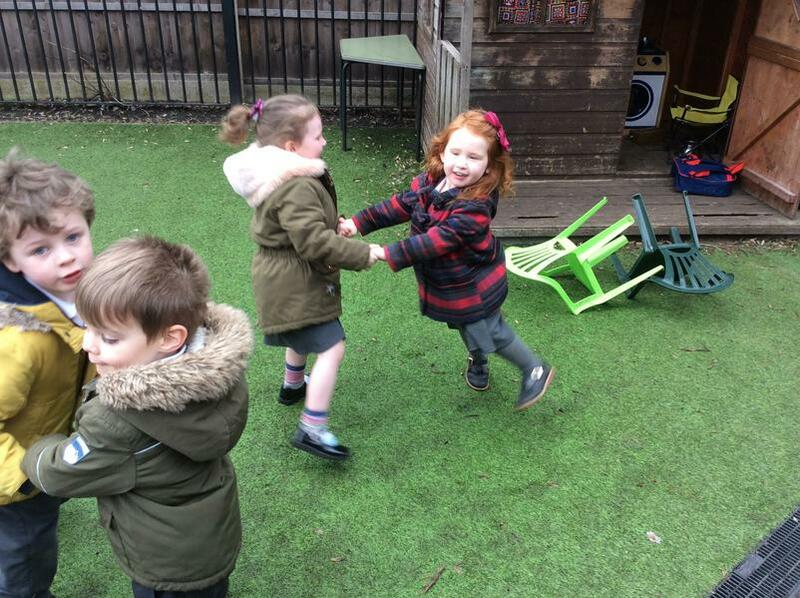 We took some numbered green bottles outside to see how many we could knock over - we had a great fun! 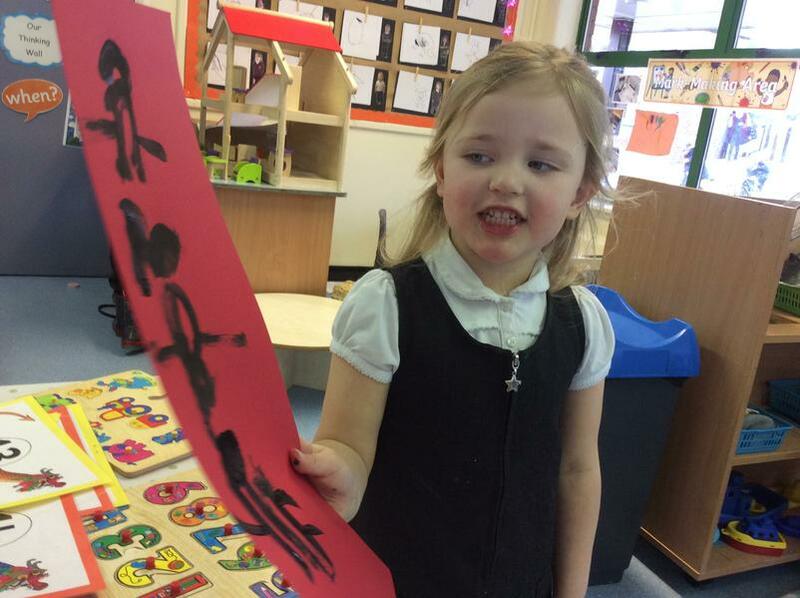 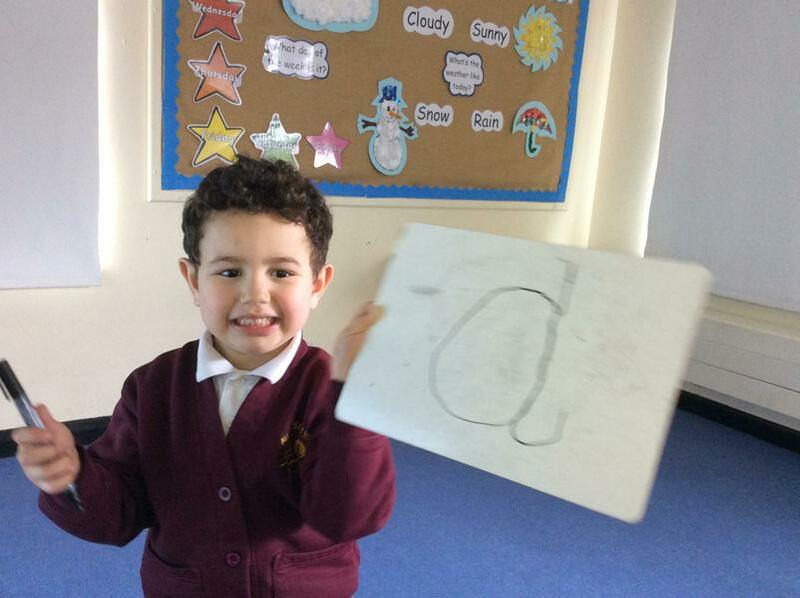 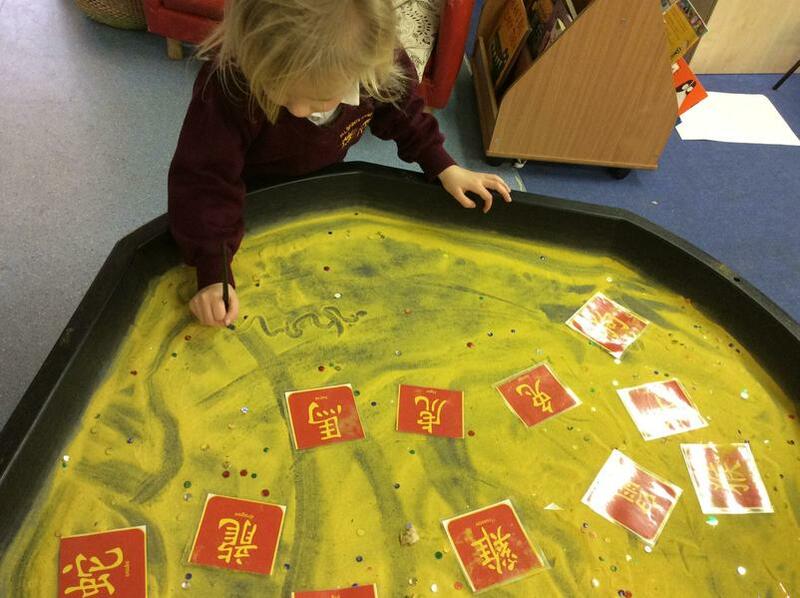 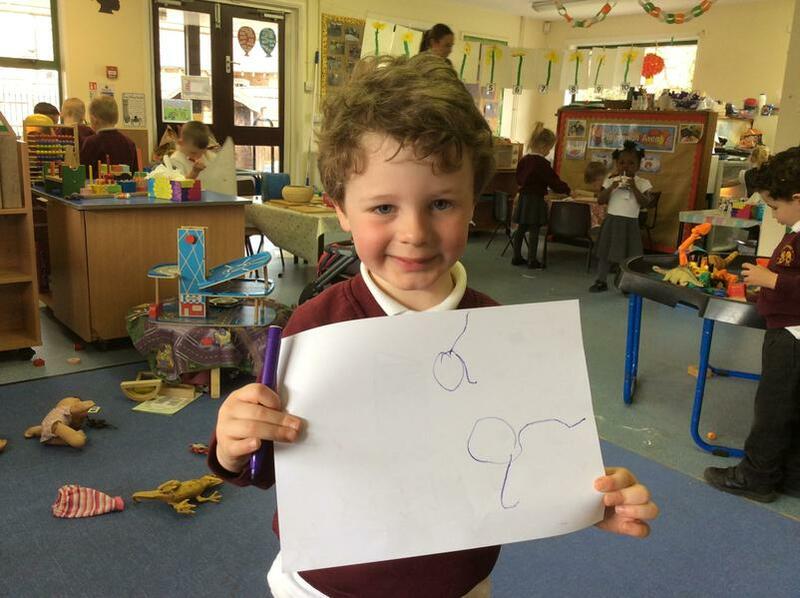 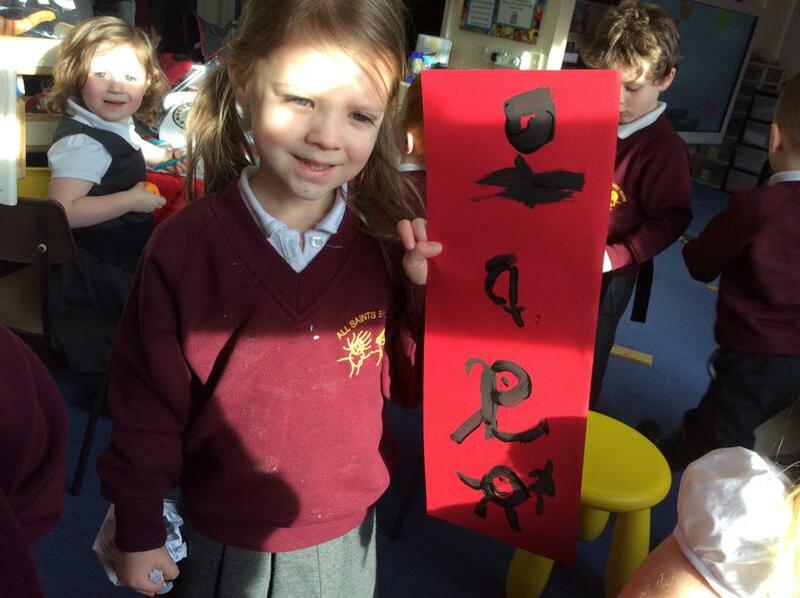 Super number recognition Nursery! 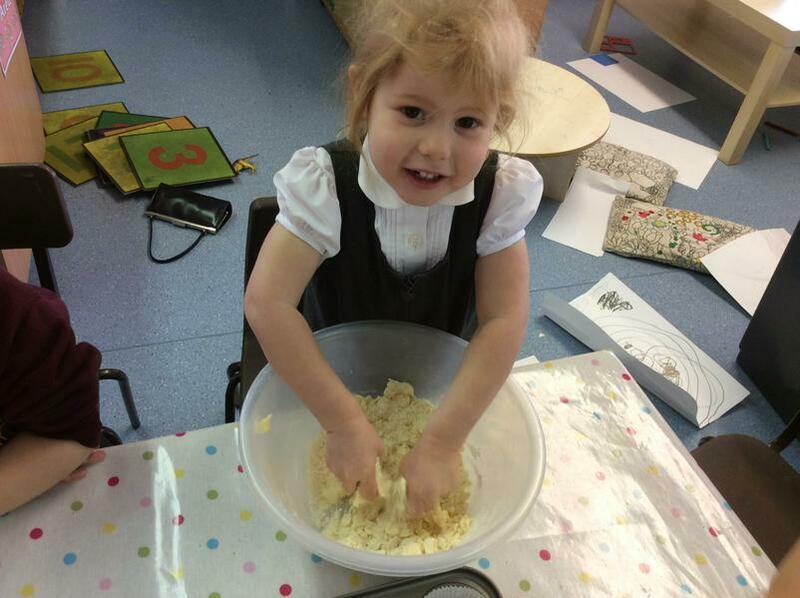 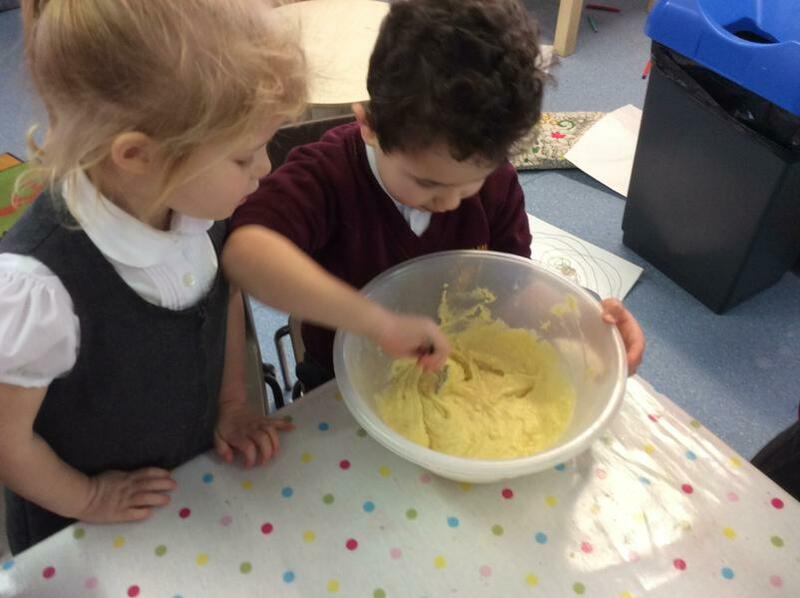 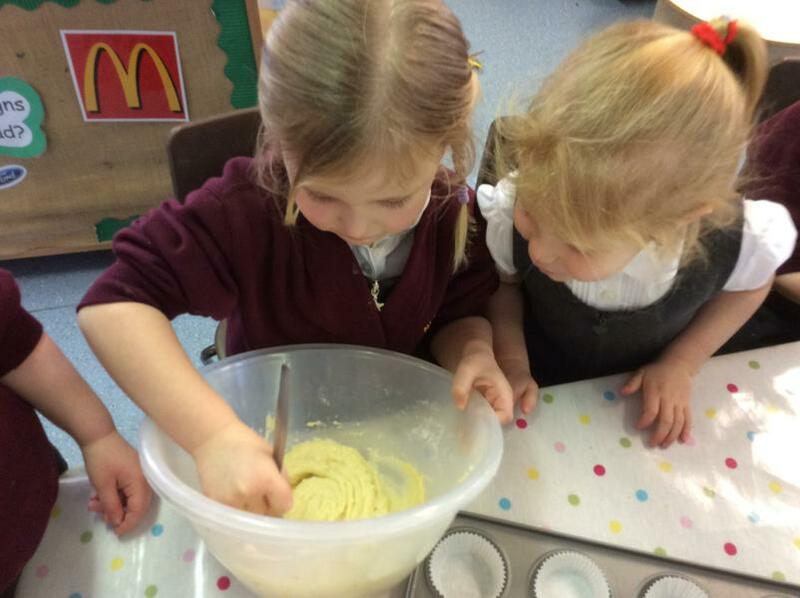 We baked some delicious cakes to share with our loved ones at home. 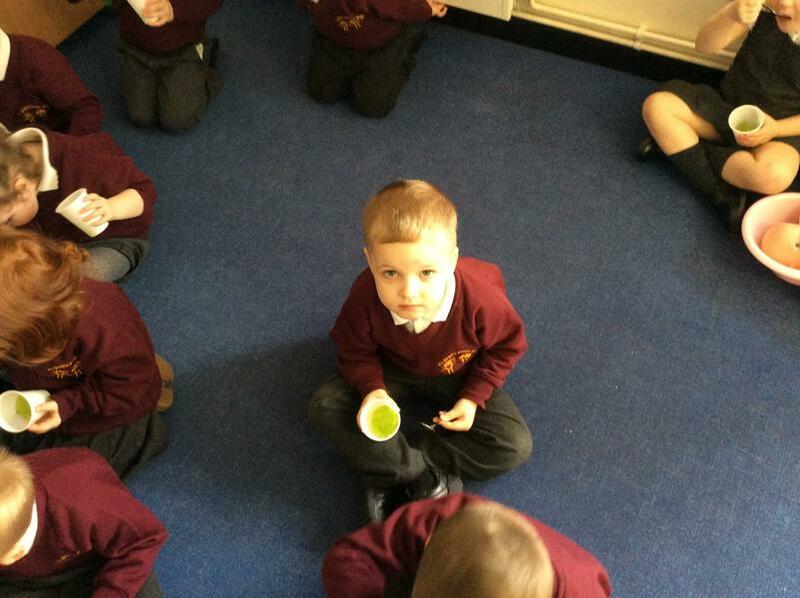 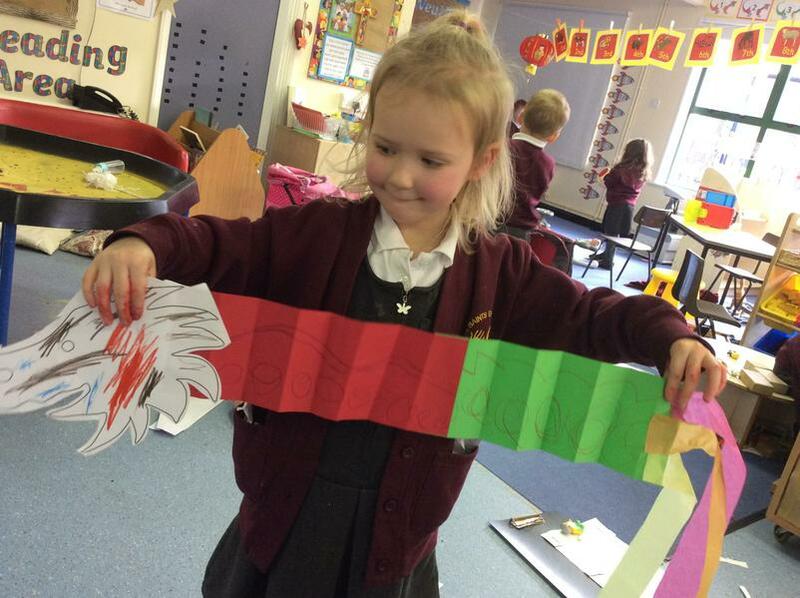 During our Collective Worship time we spoke about Lent and how we prepare for Easter. 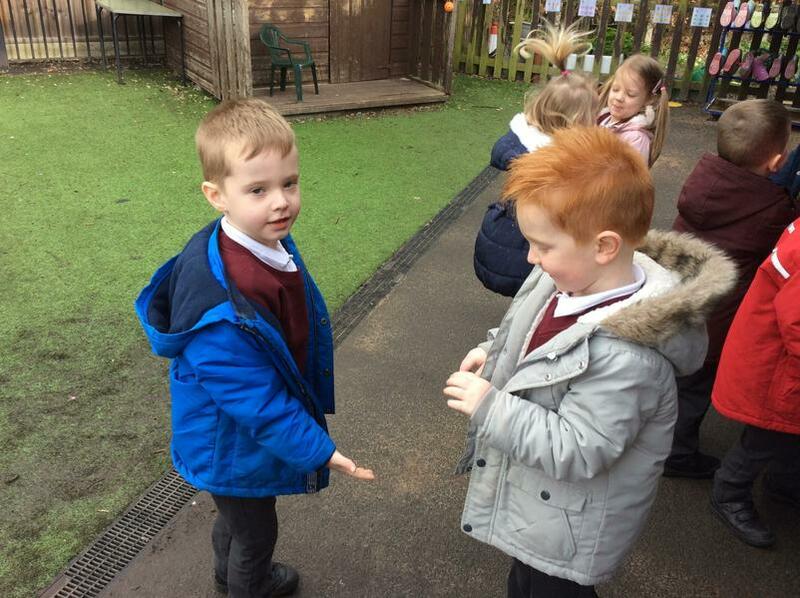 We passed our class Bee around the circle and we shared our Lenten promise. 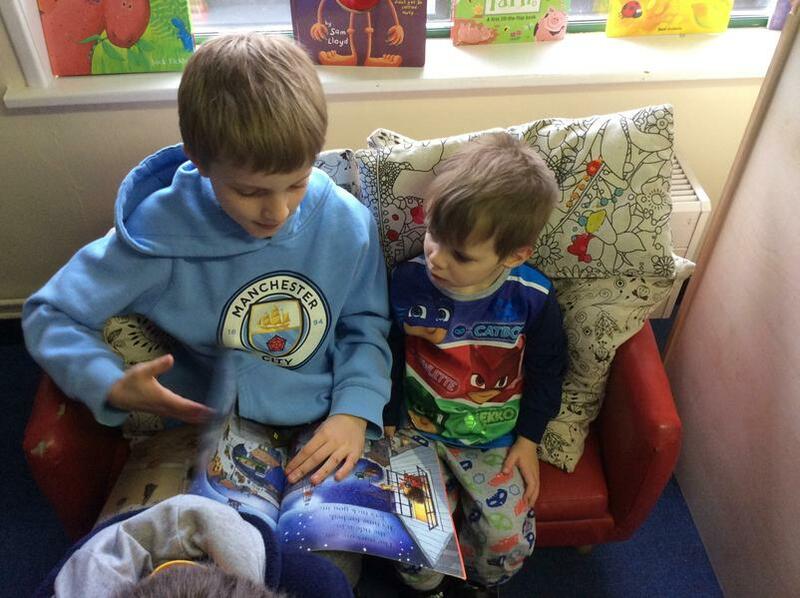 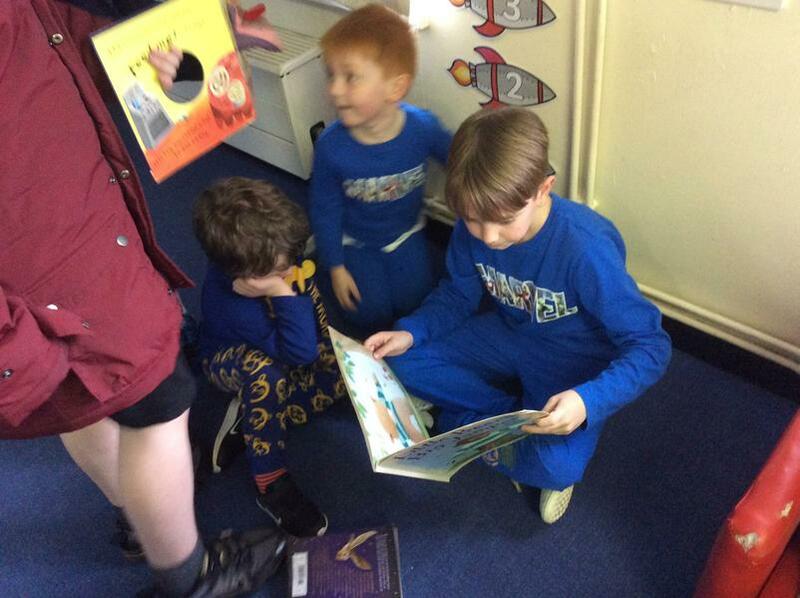 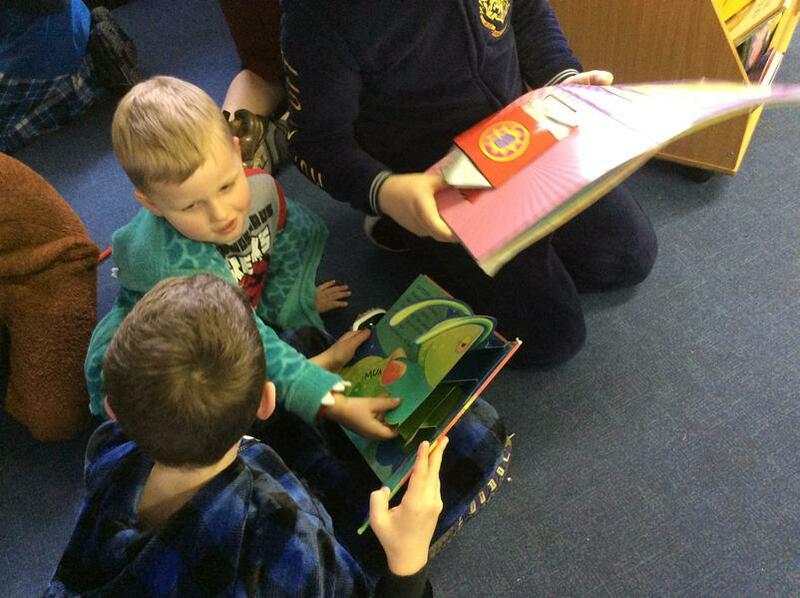 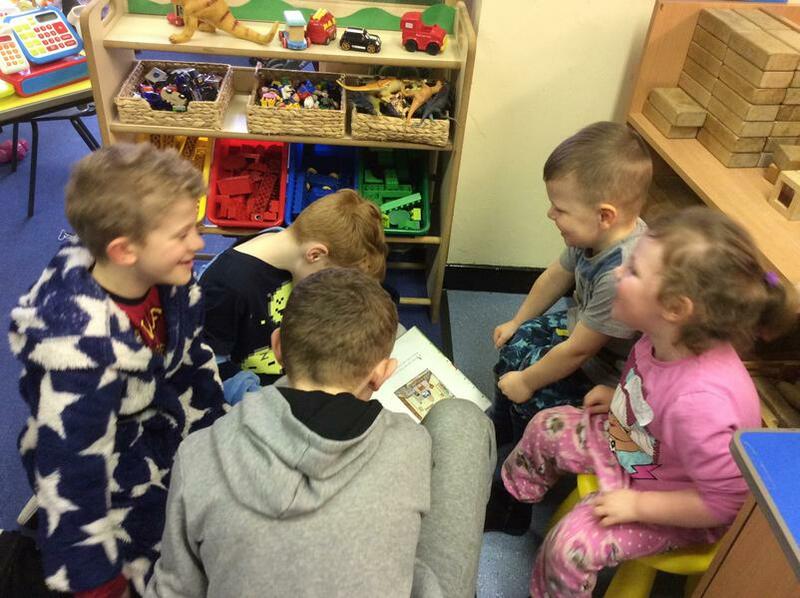 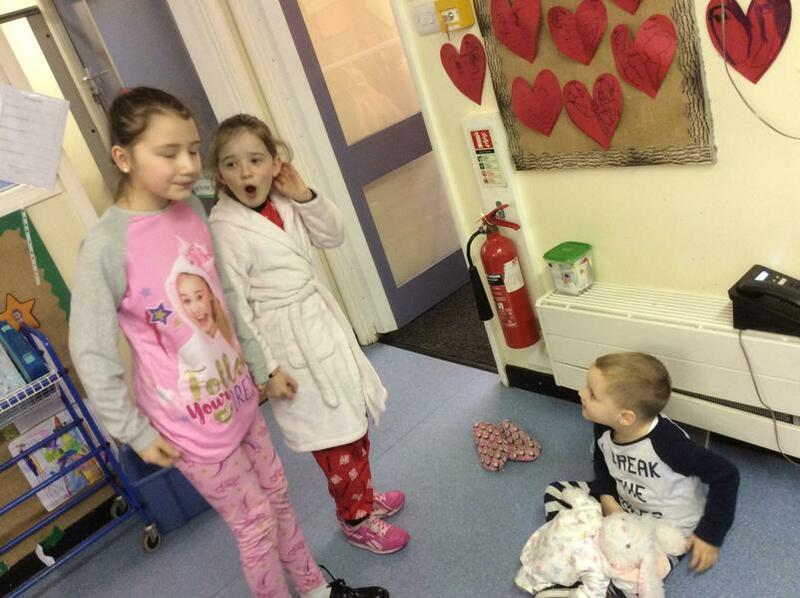 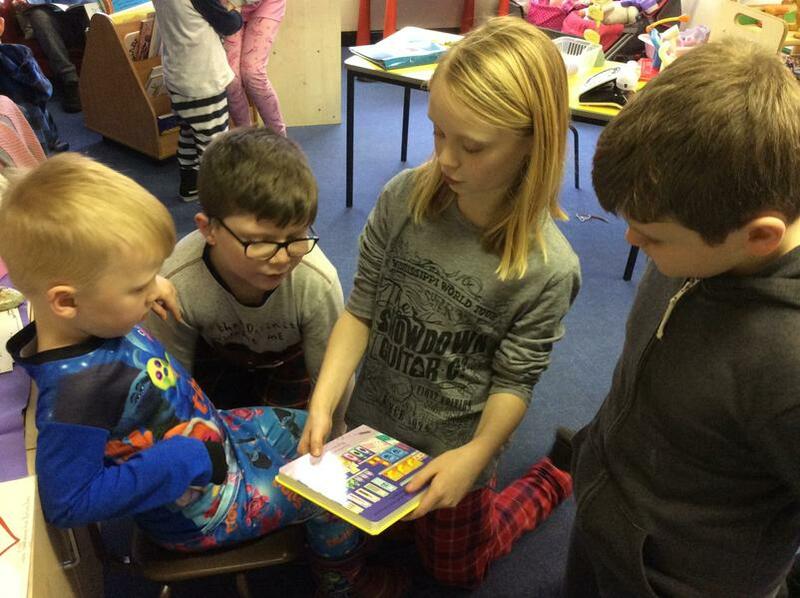 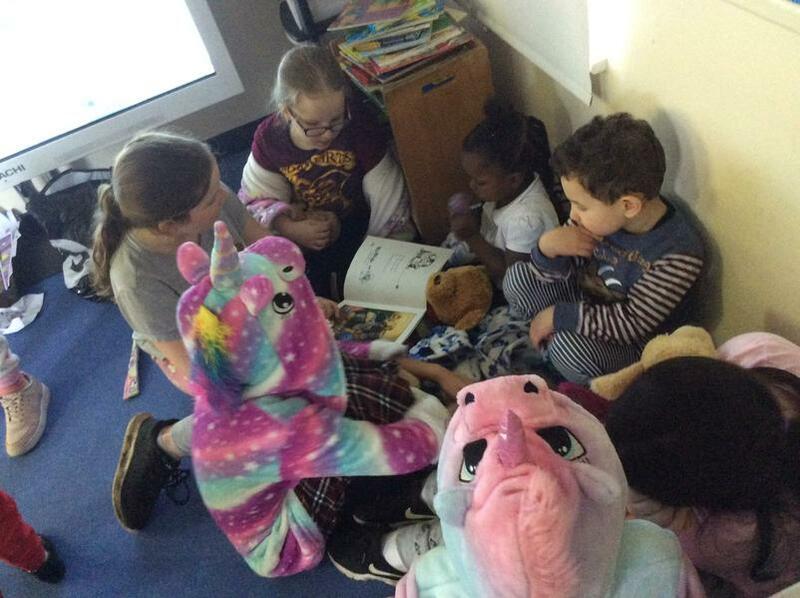 The Year 5 children came to share some bed time stories with us. 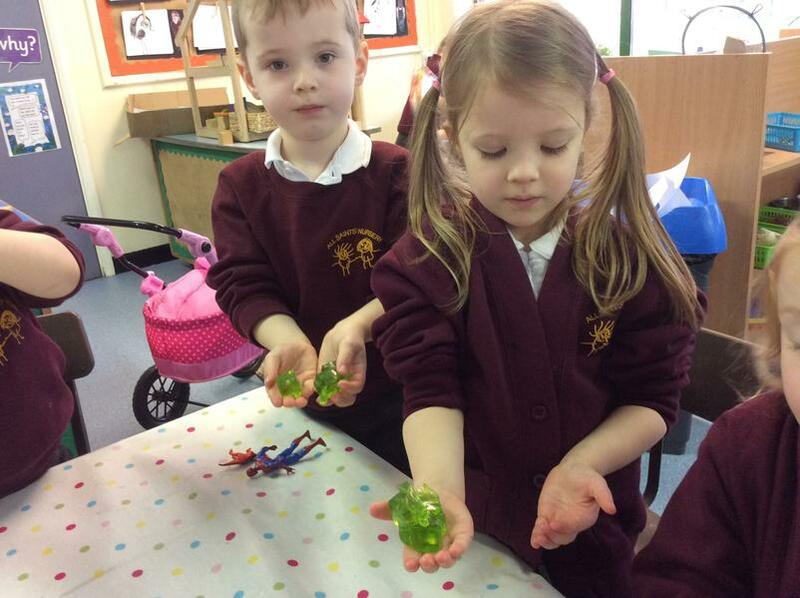 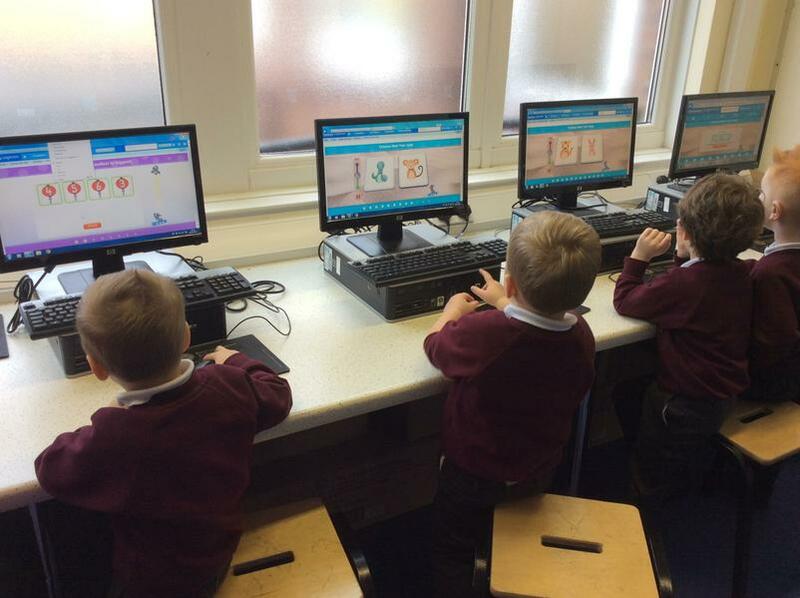 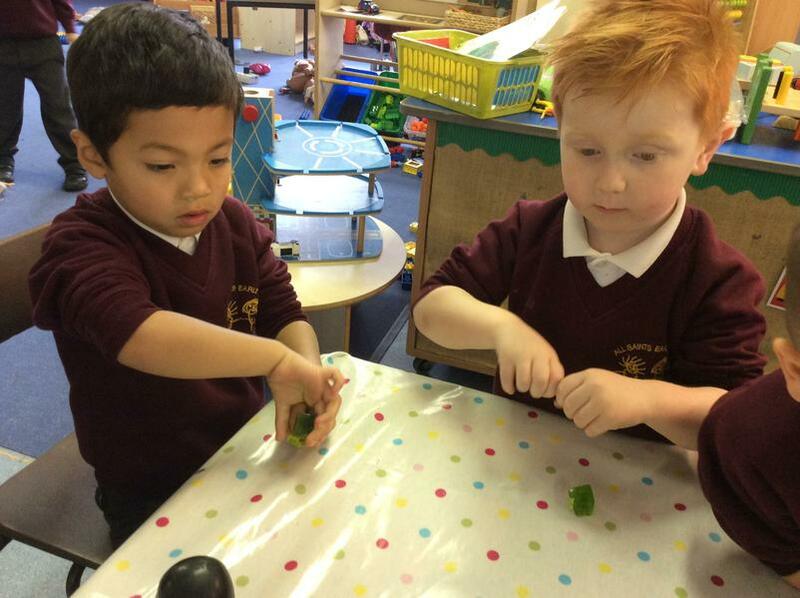 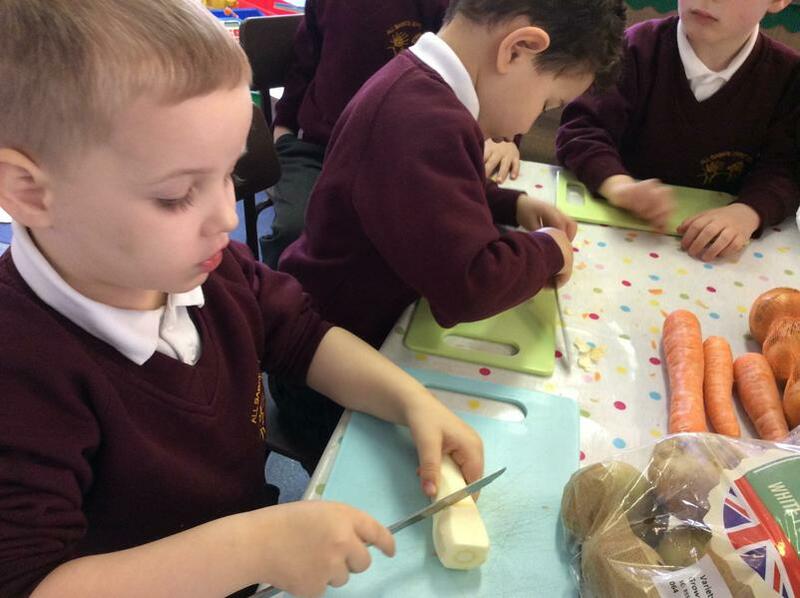 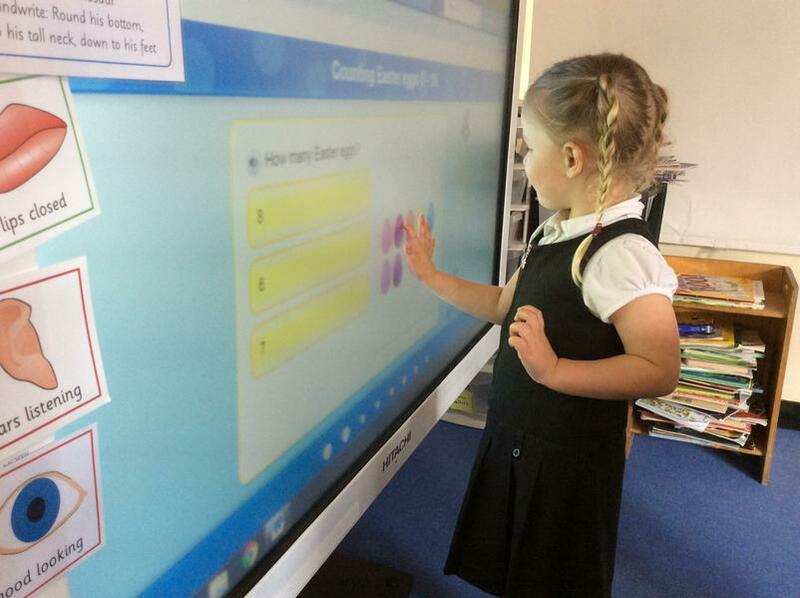 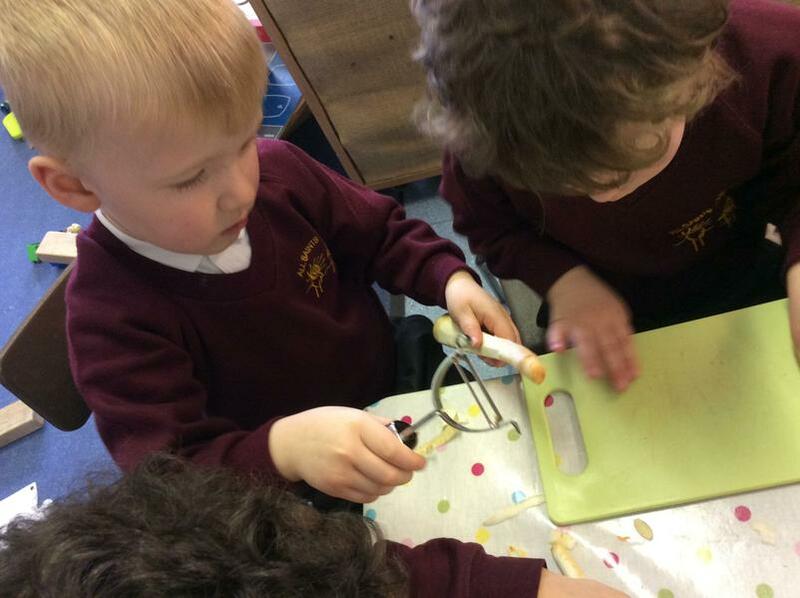 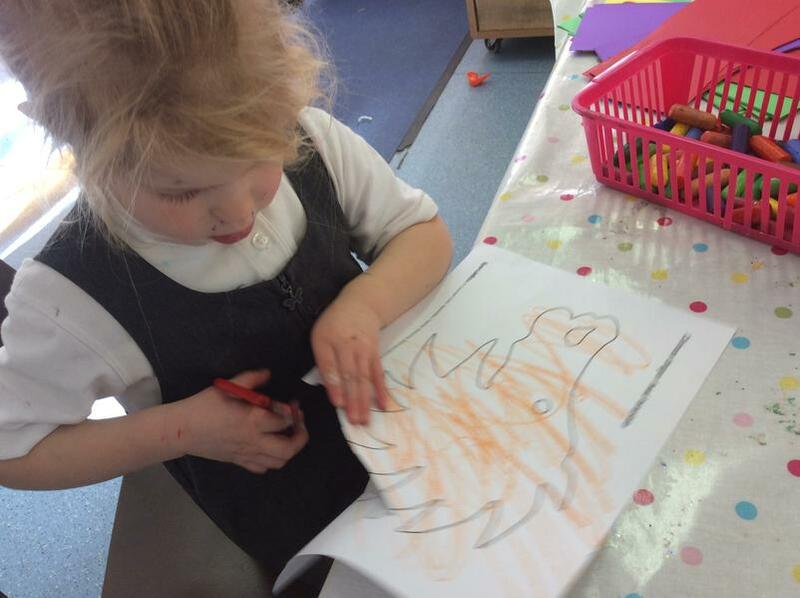 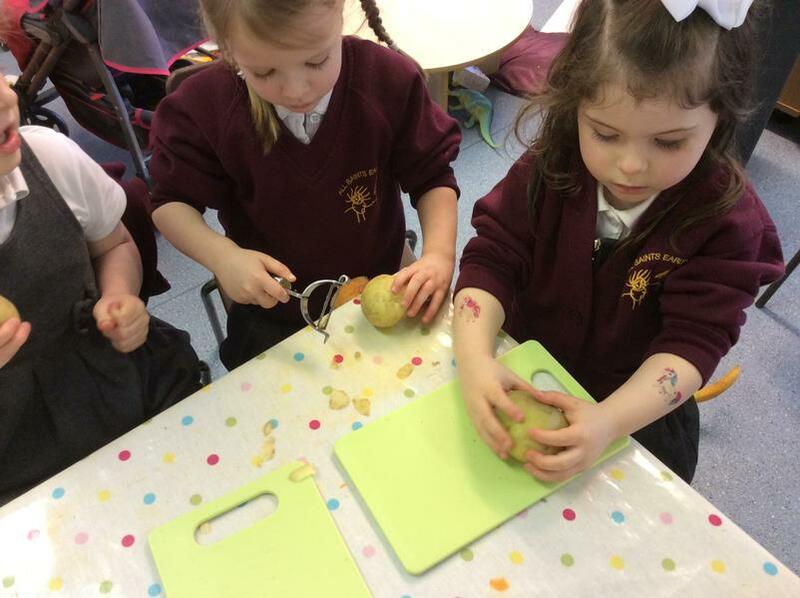 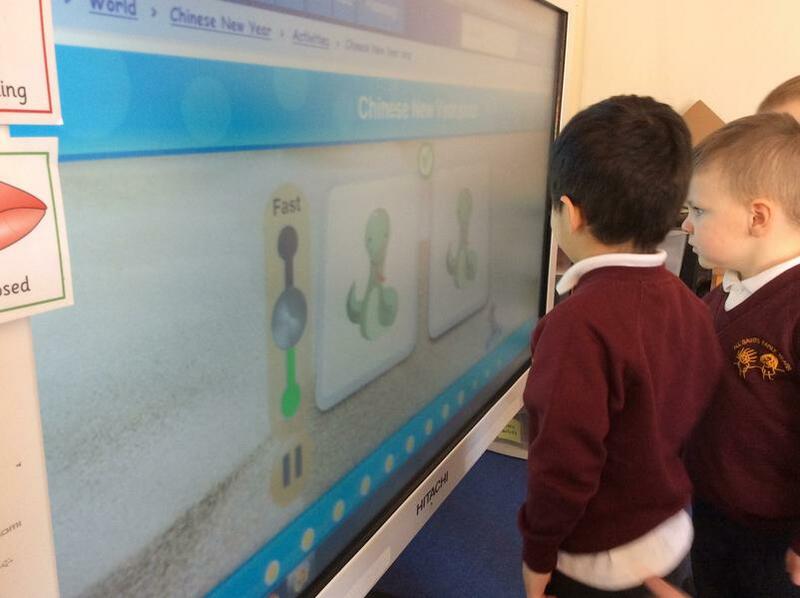 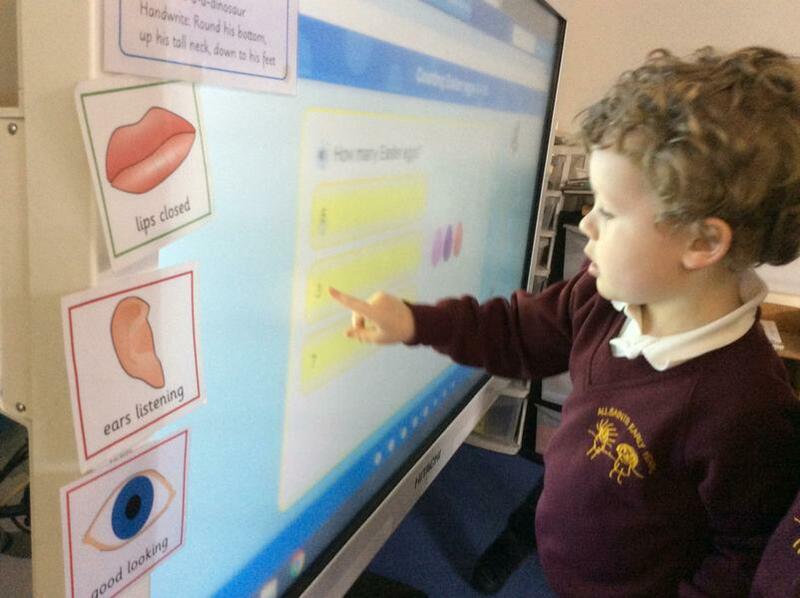 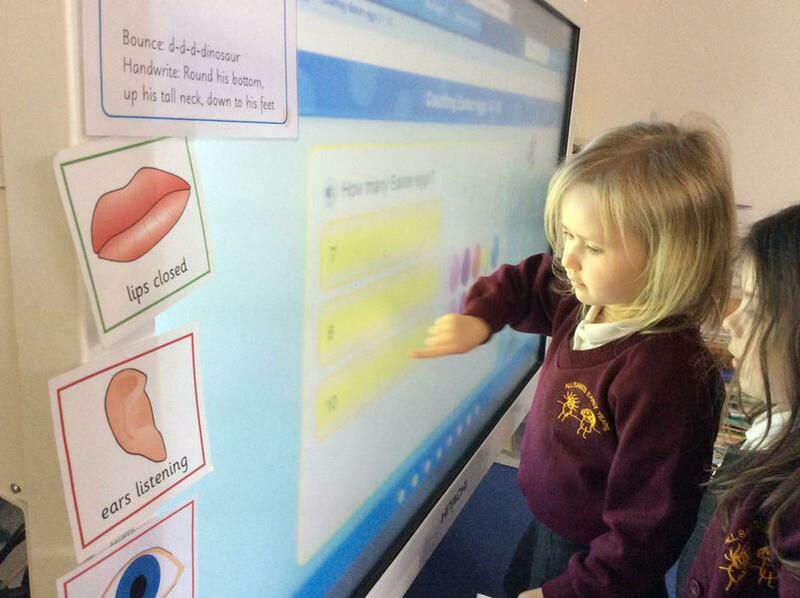 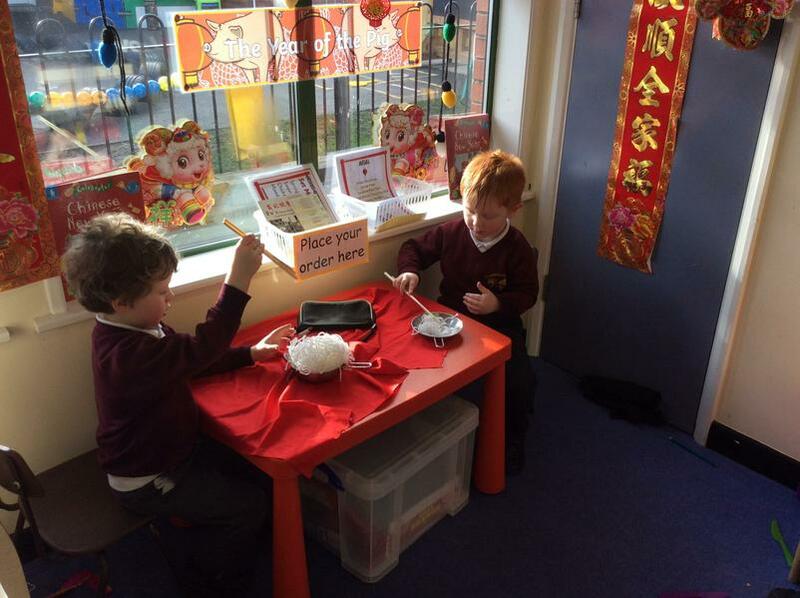 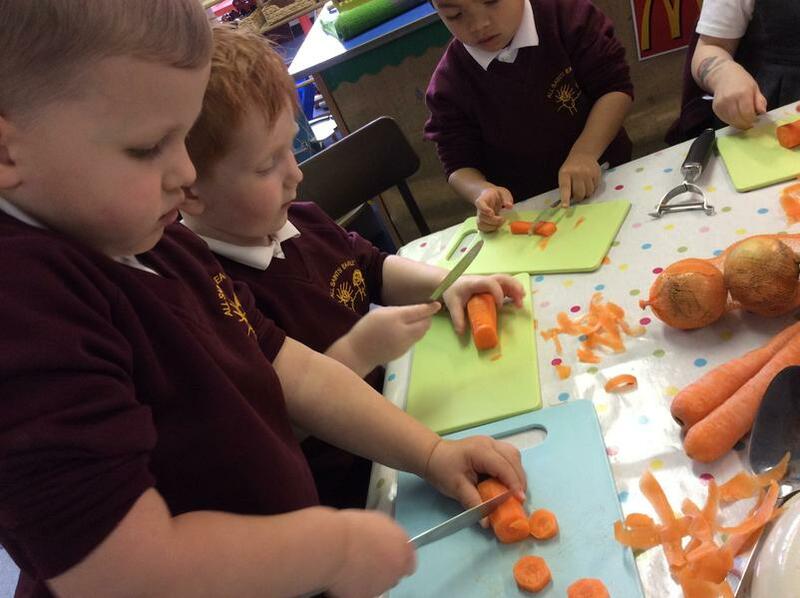 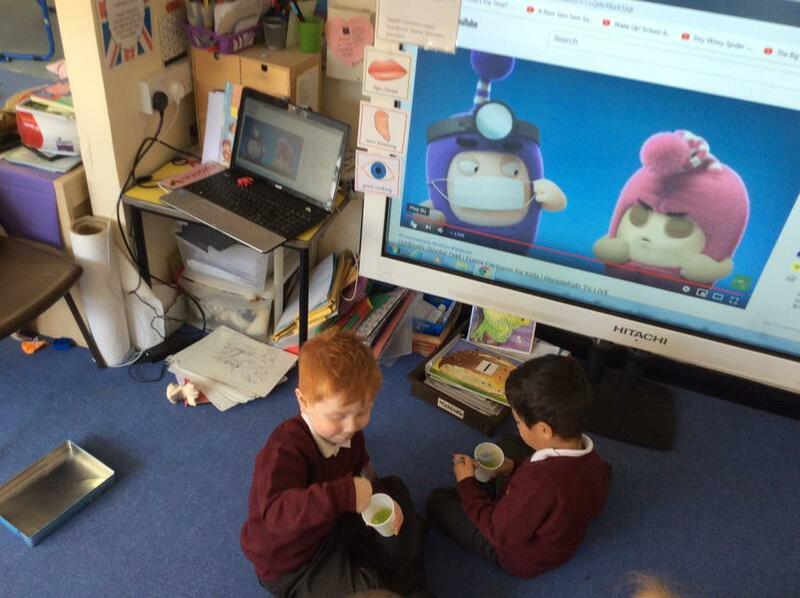 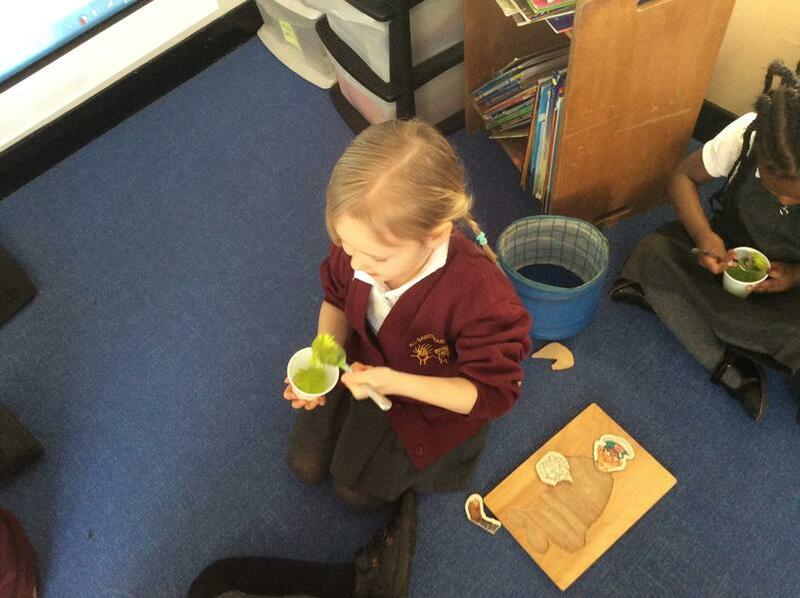 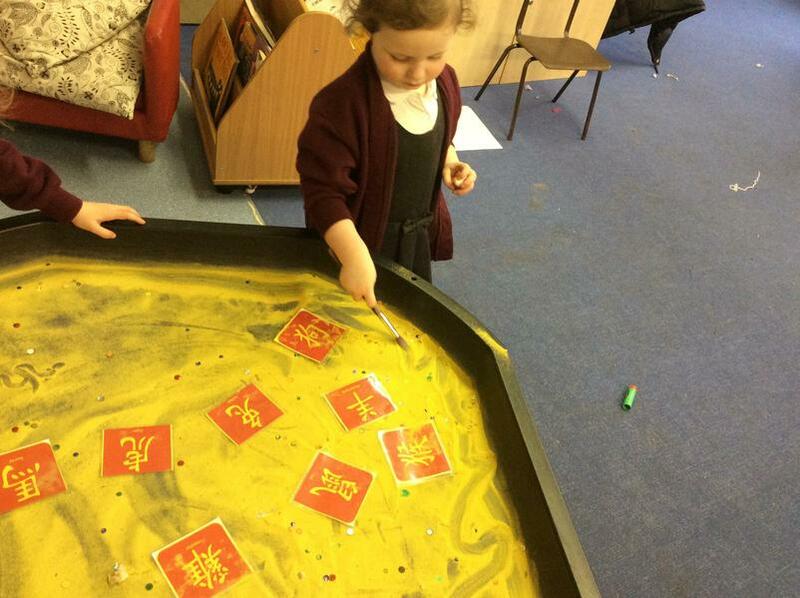 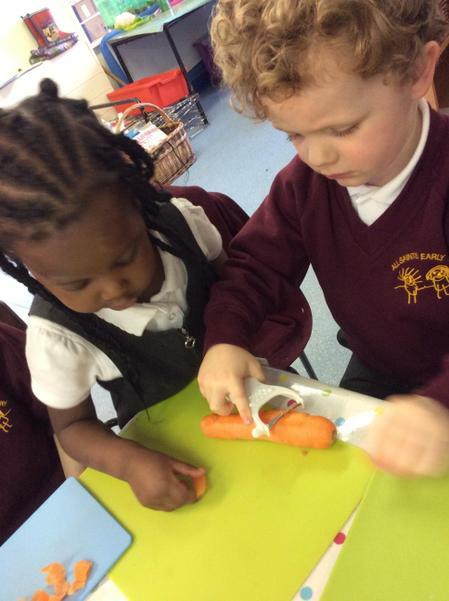 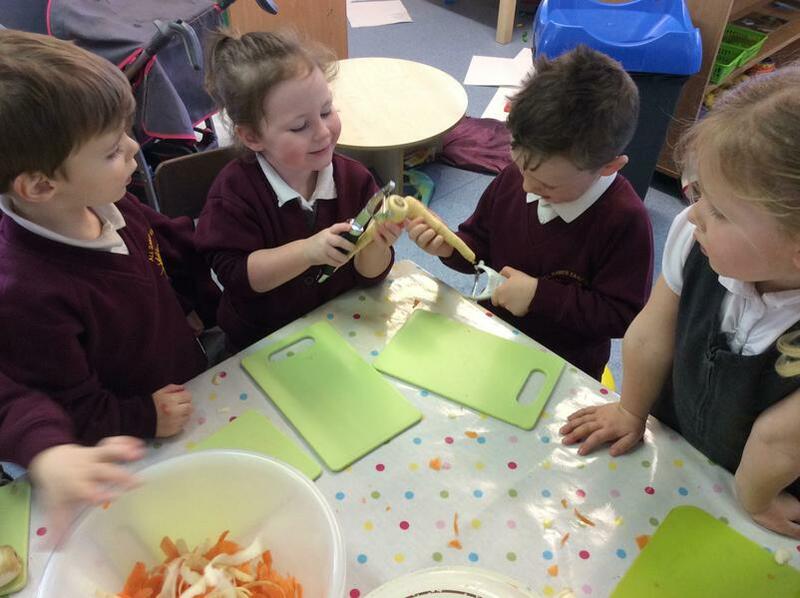 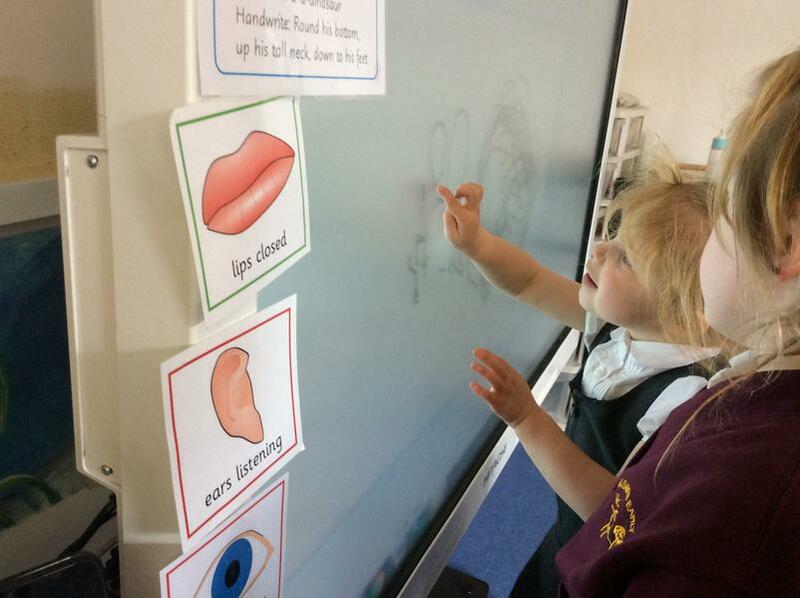 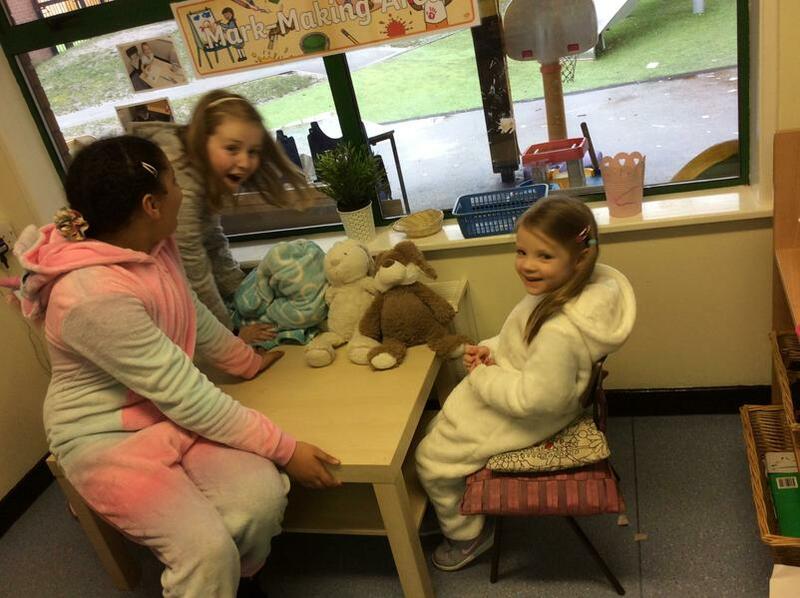 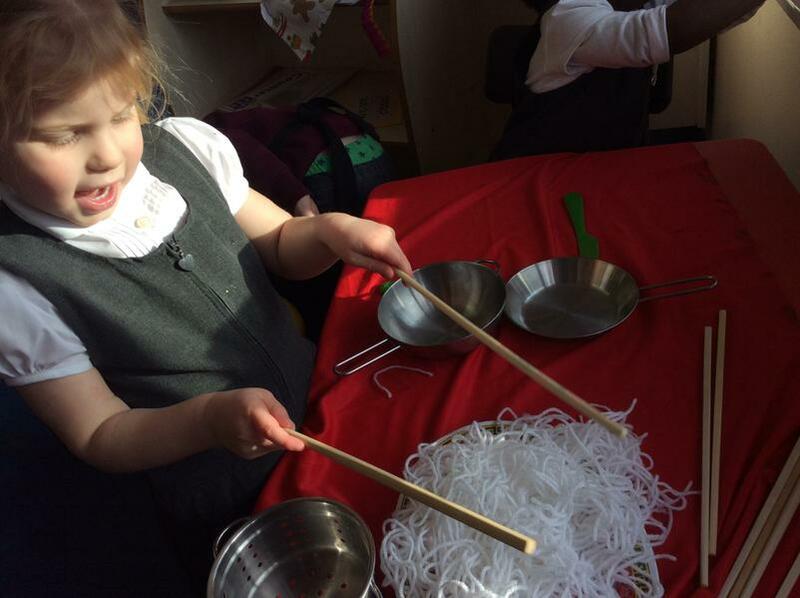 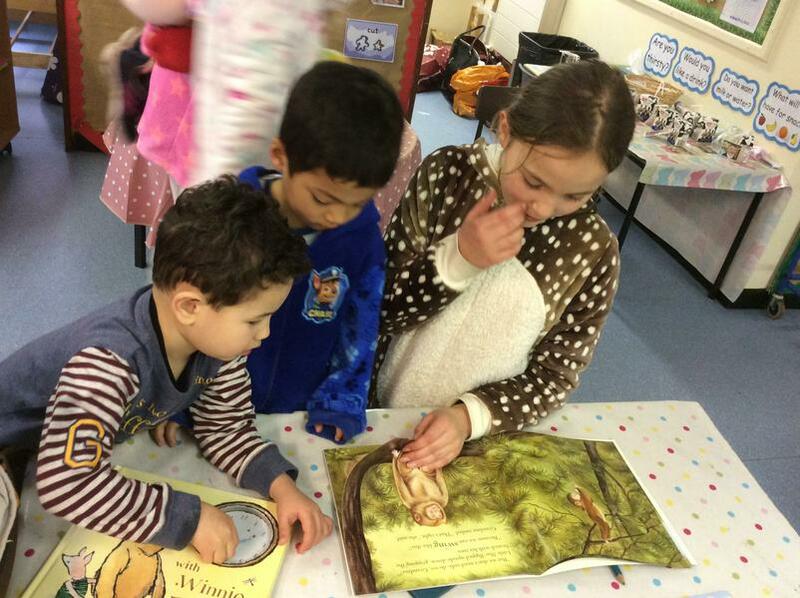 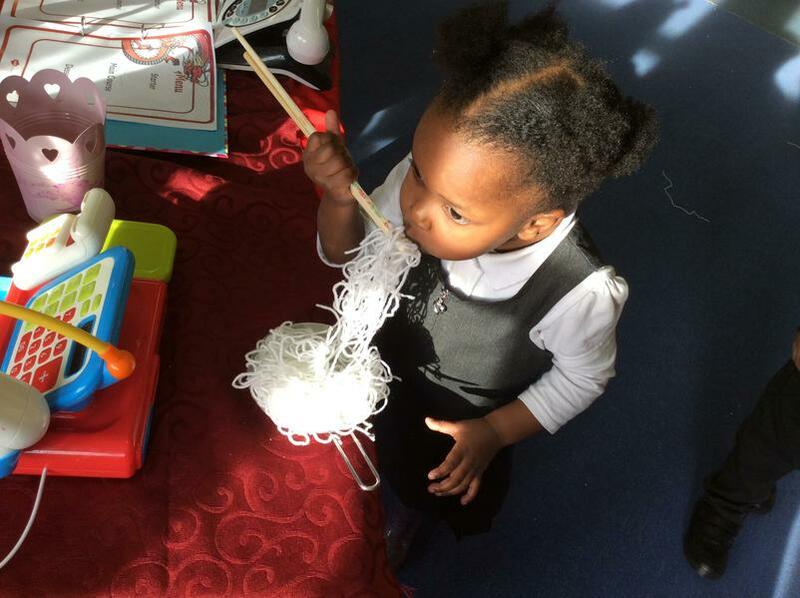 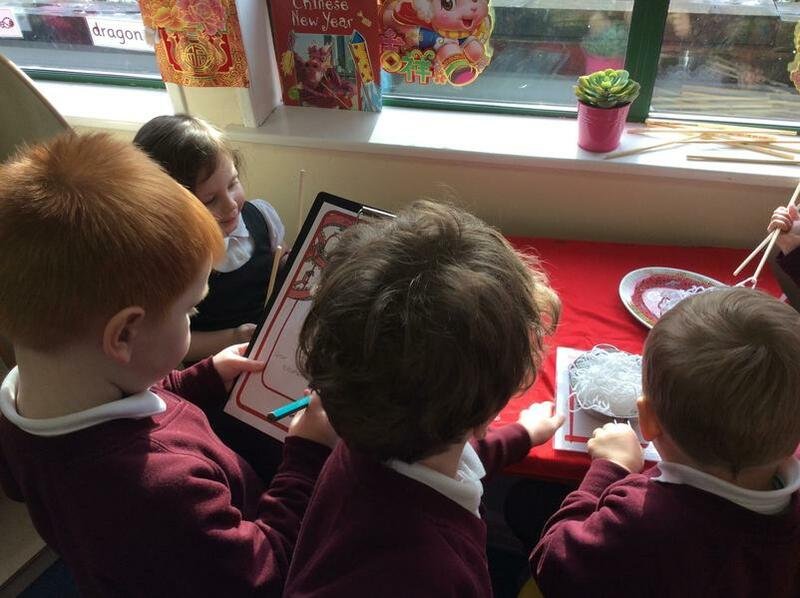 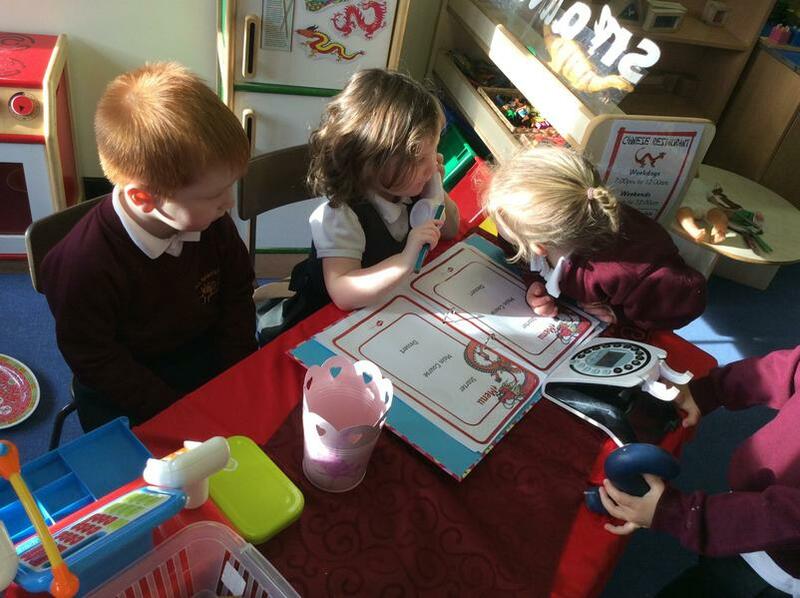 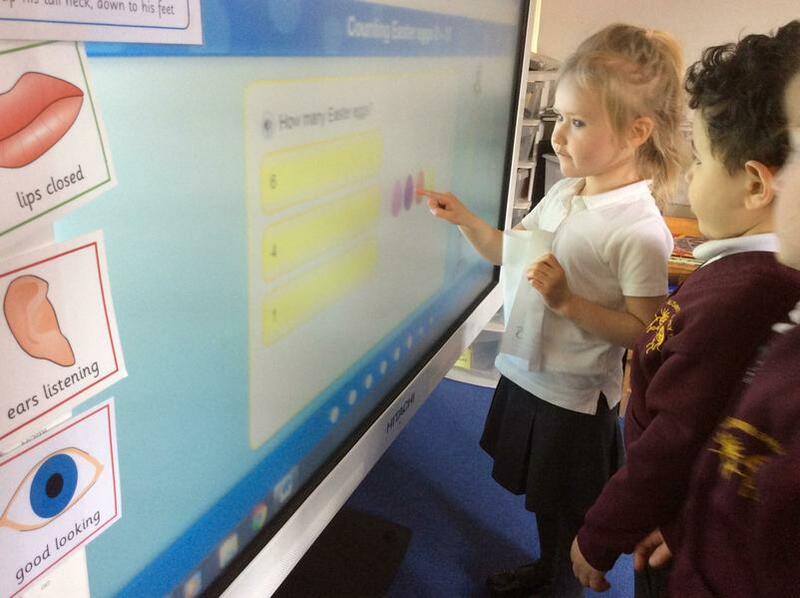 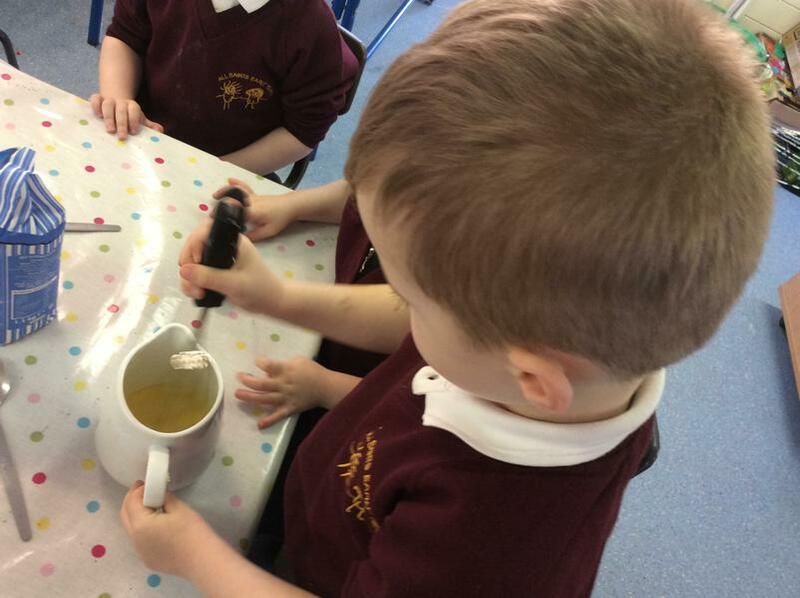 It was lovely to have them working with us in our classroom. 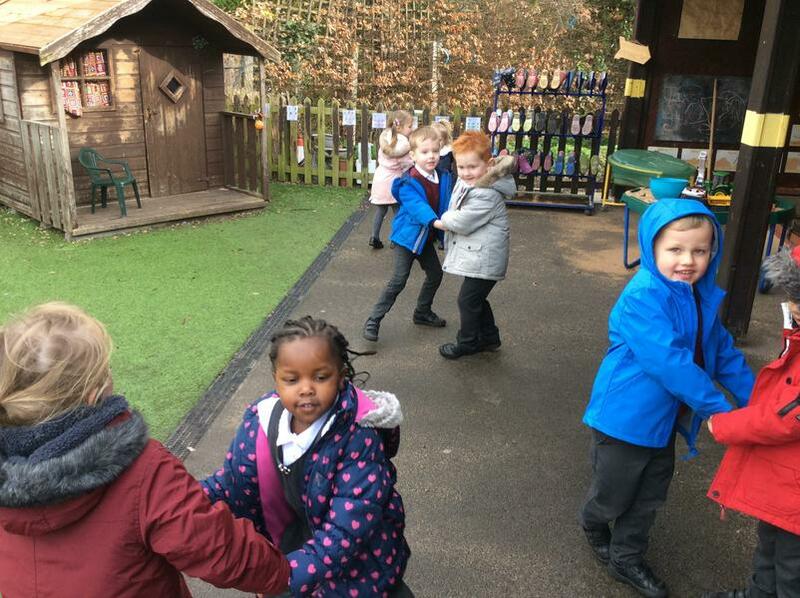 We watched some Irish Dancing and then we learnt a dance too called heel toe, heel toe. 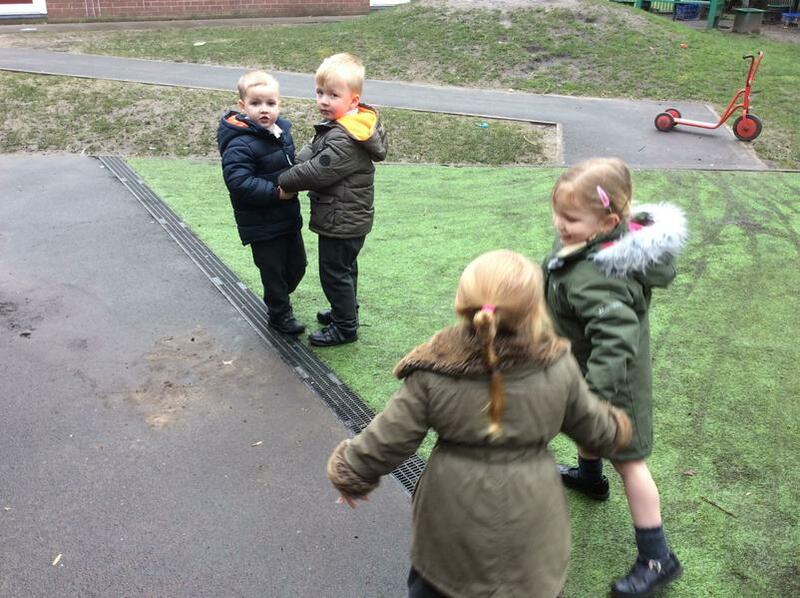 We danced with a partner and danced along to some Irish music. 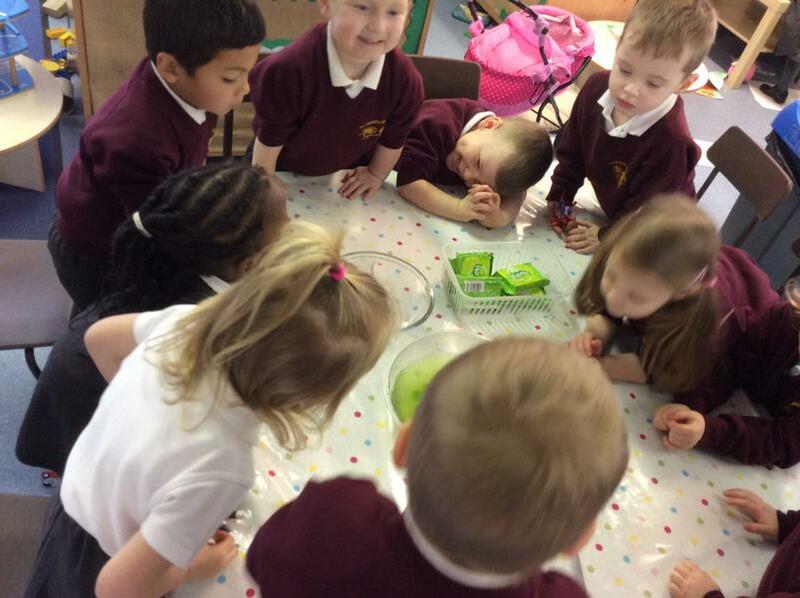 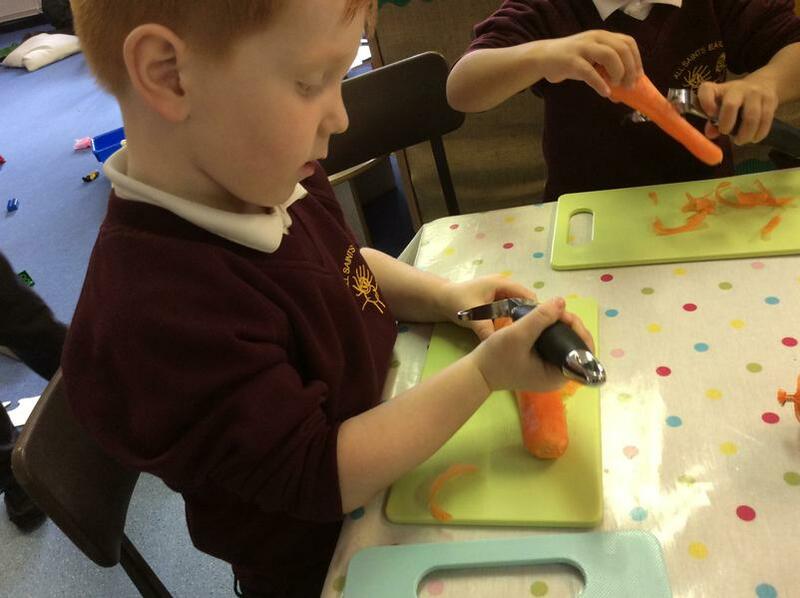 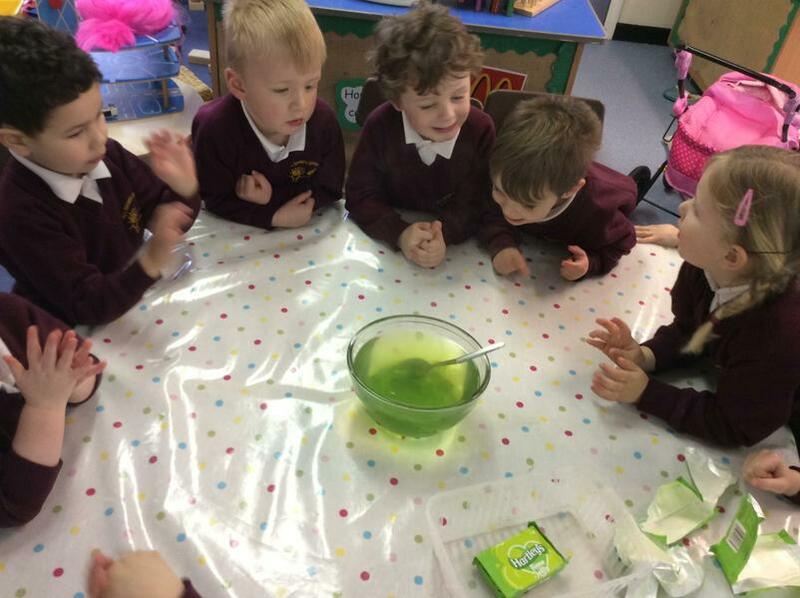 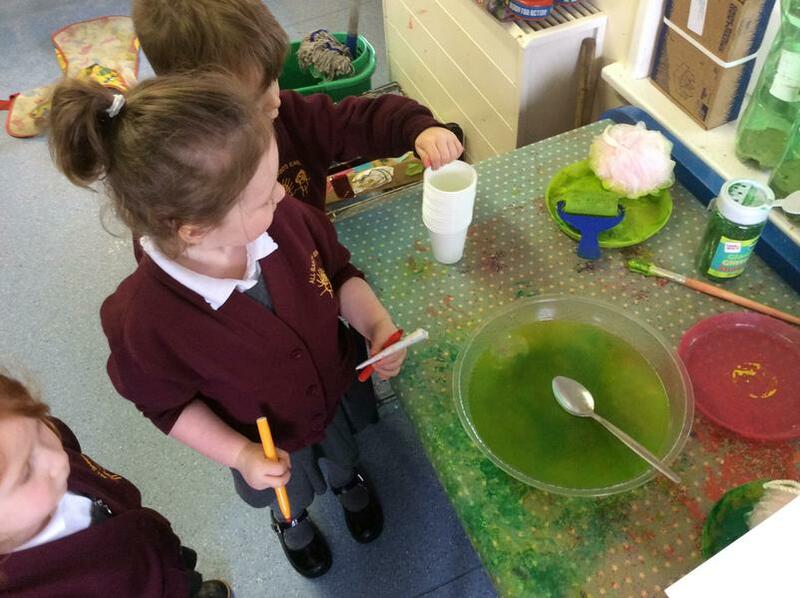 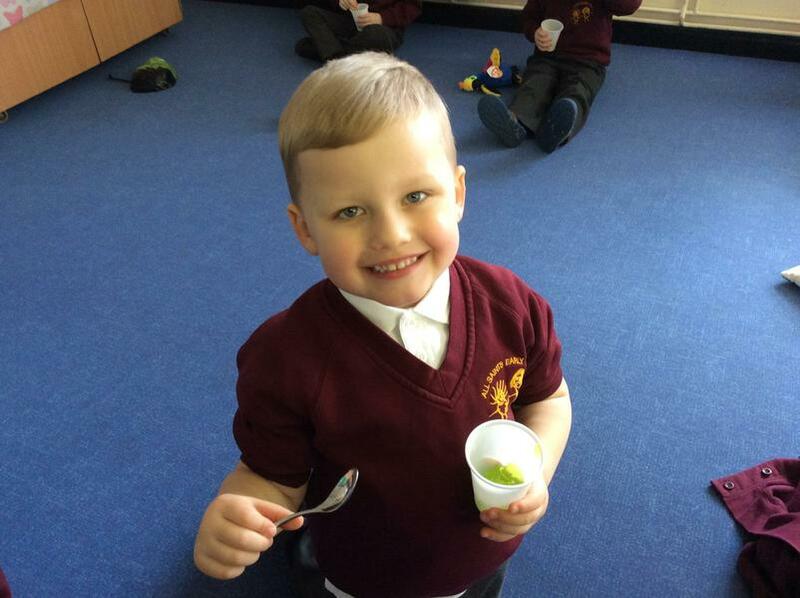 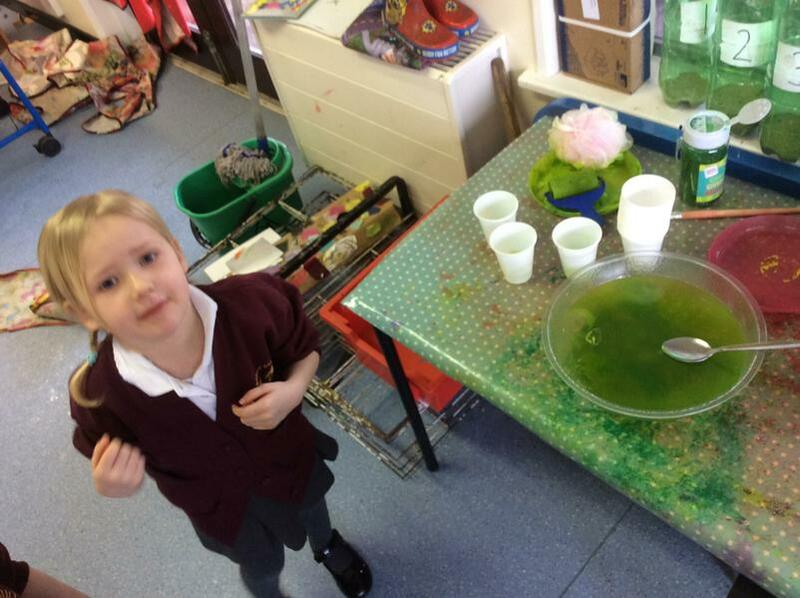 We found out how to make the colour green by mixing blue and yellow paint and we made some shamrock crowns using different printing techniques. 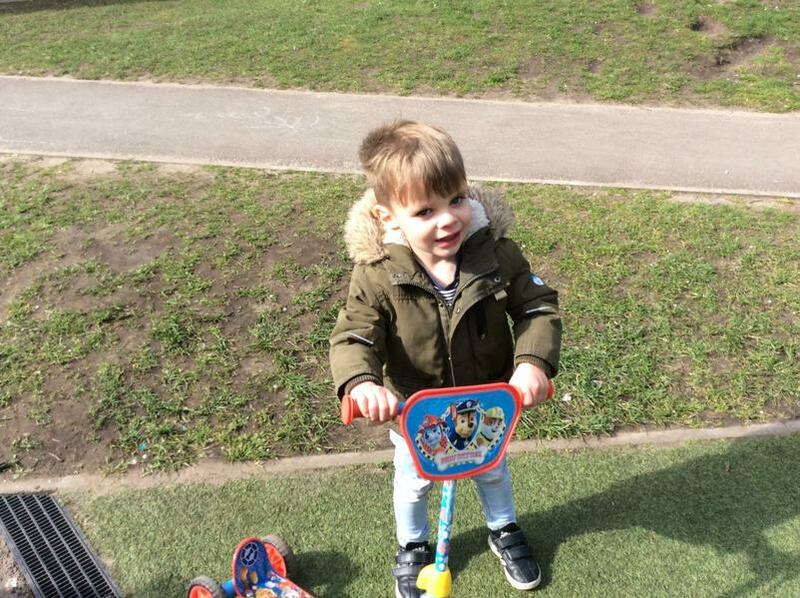 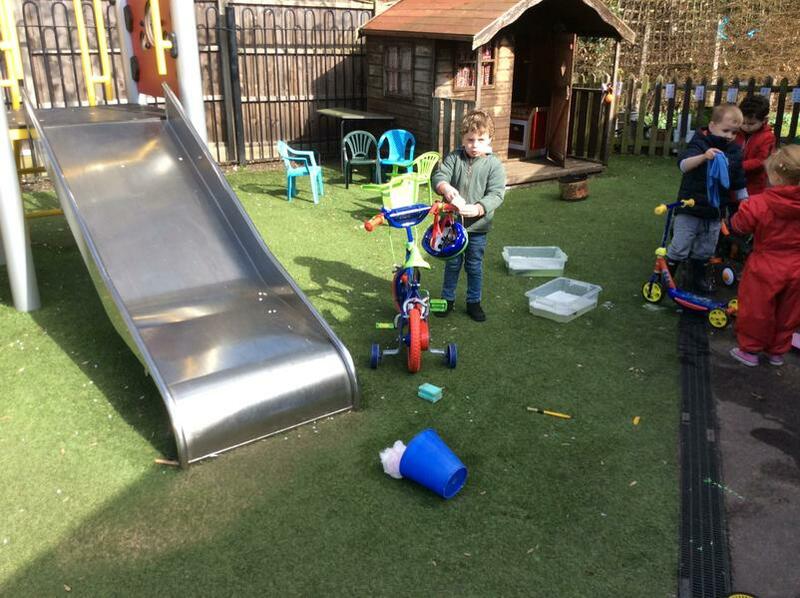 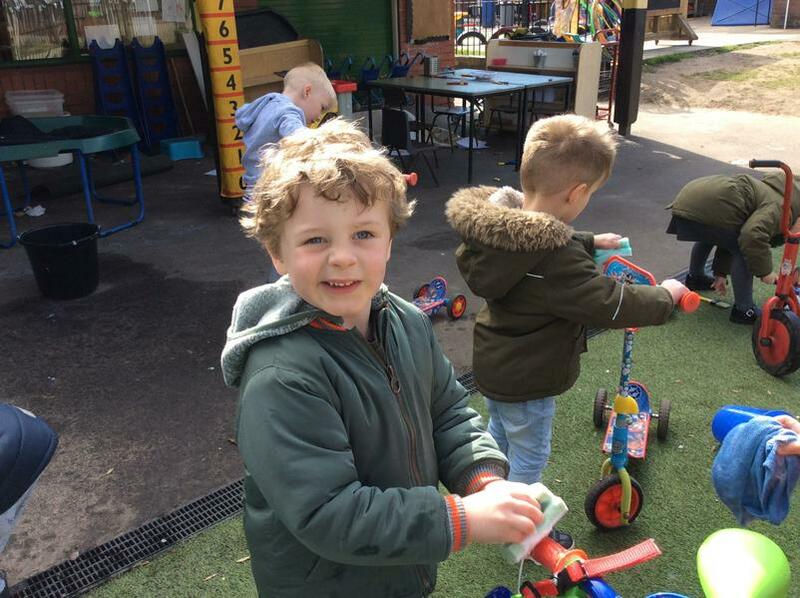 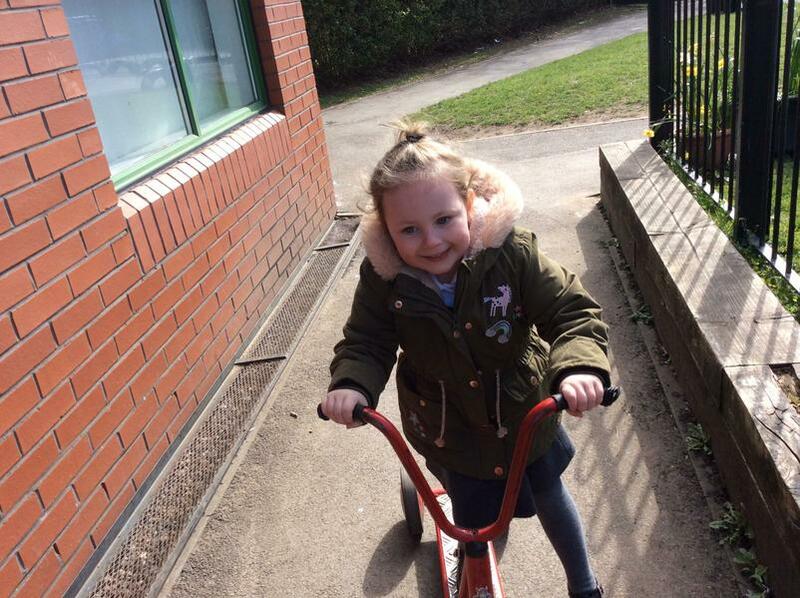 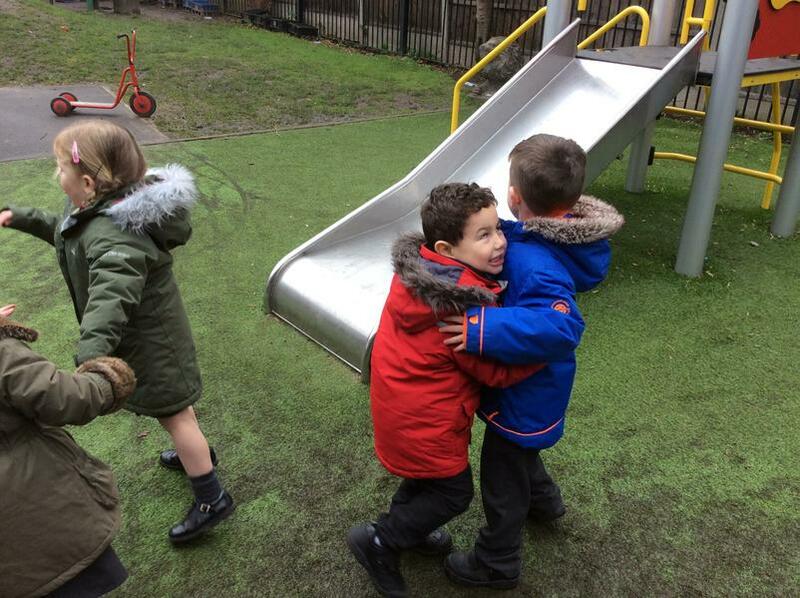 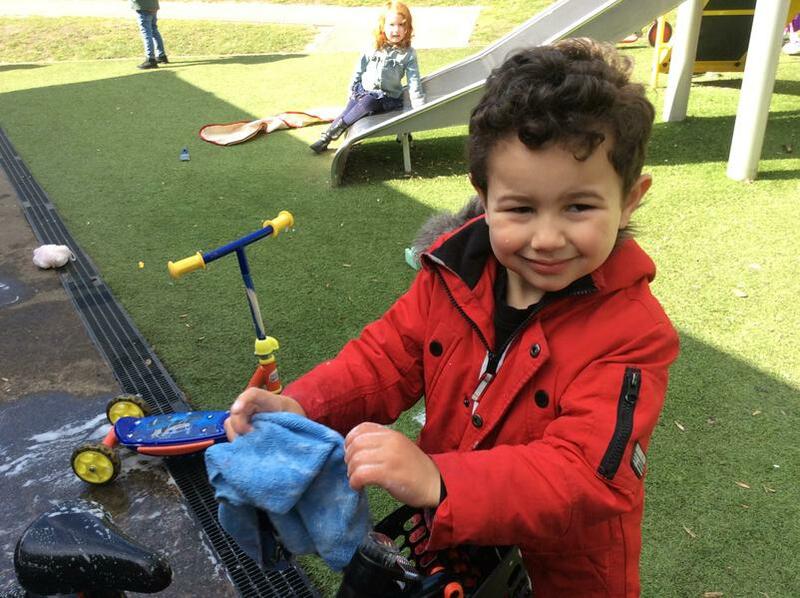 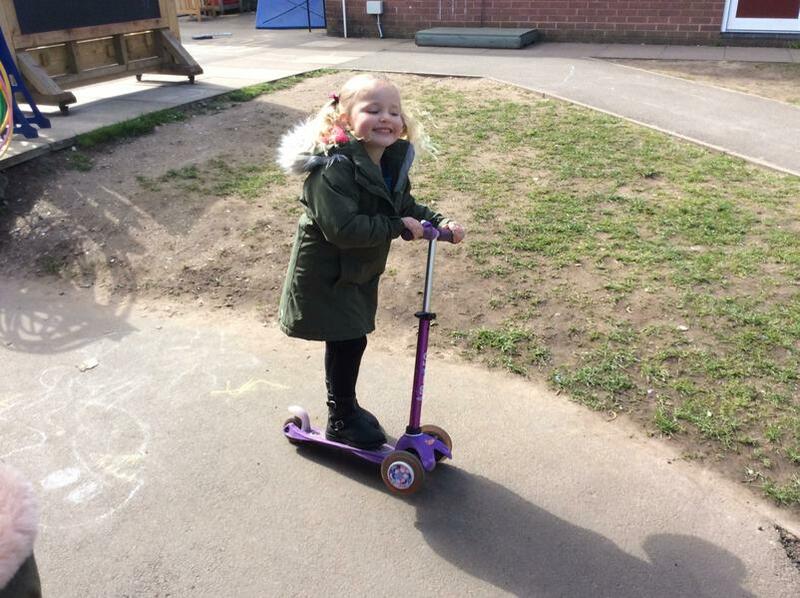 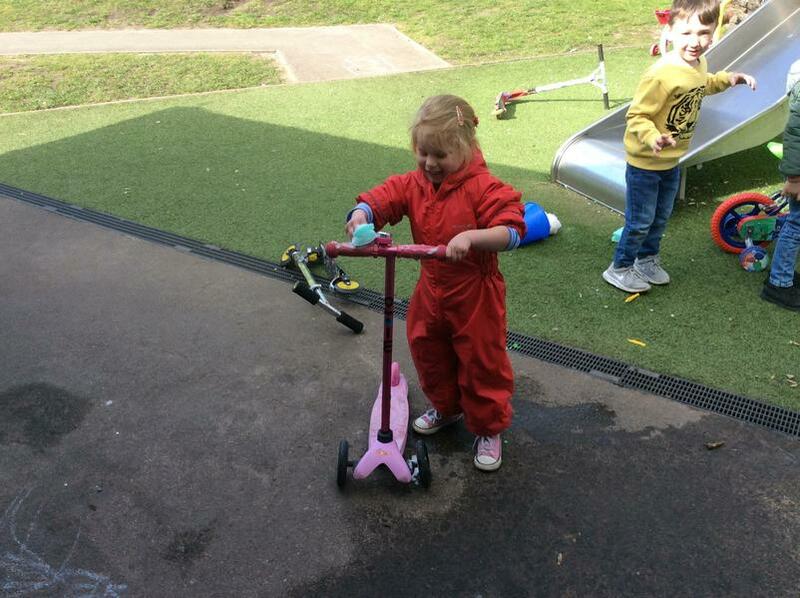 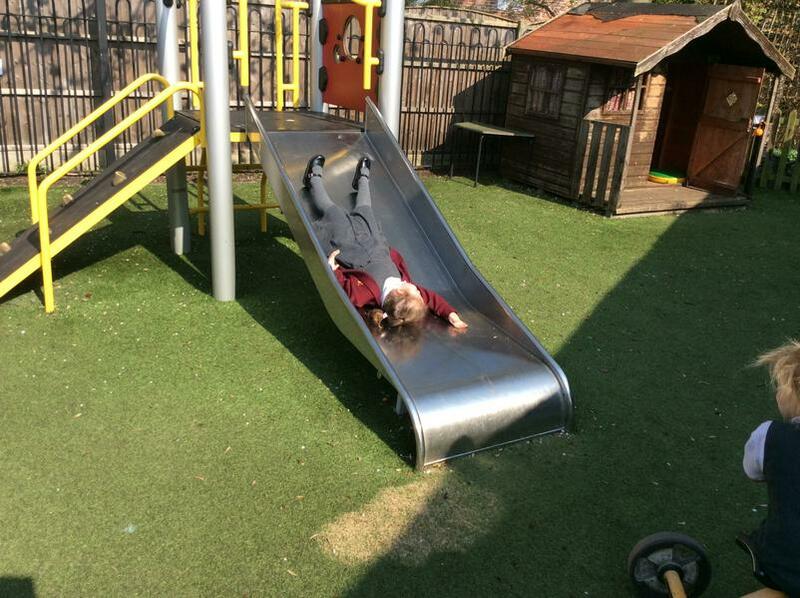 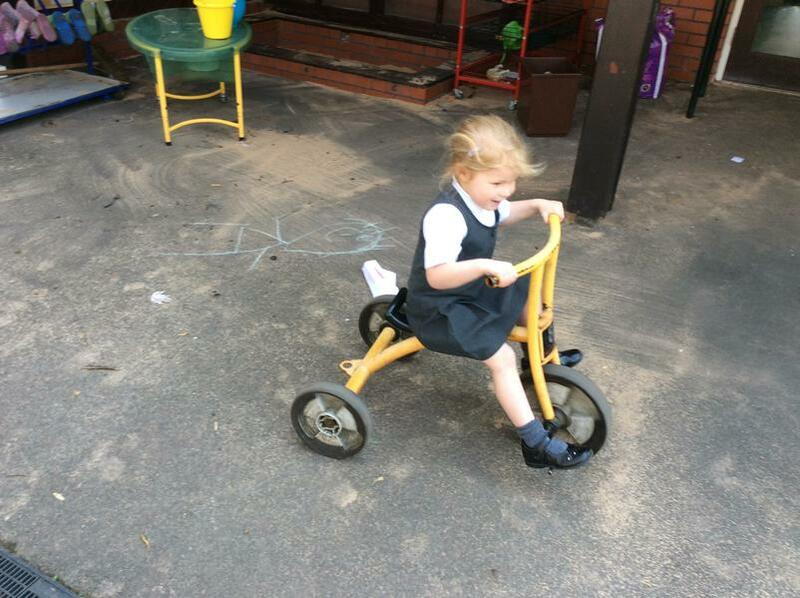 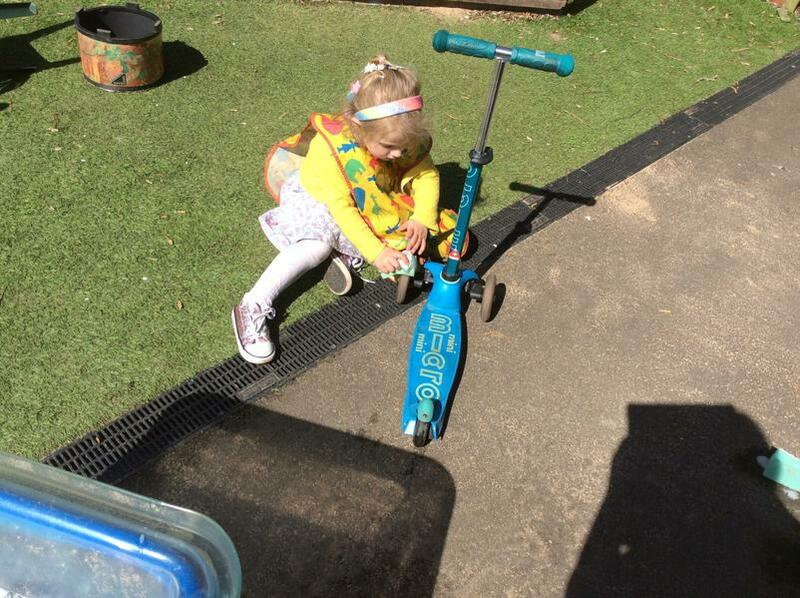 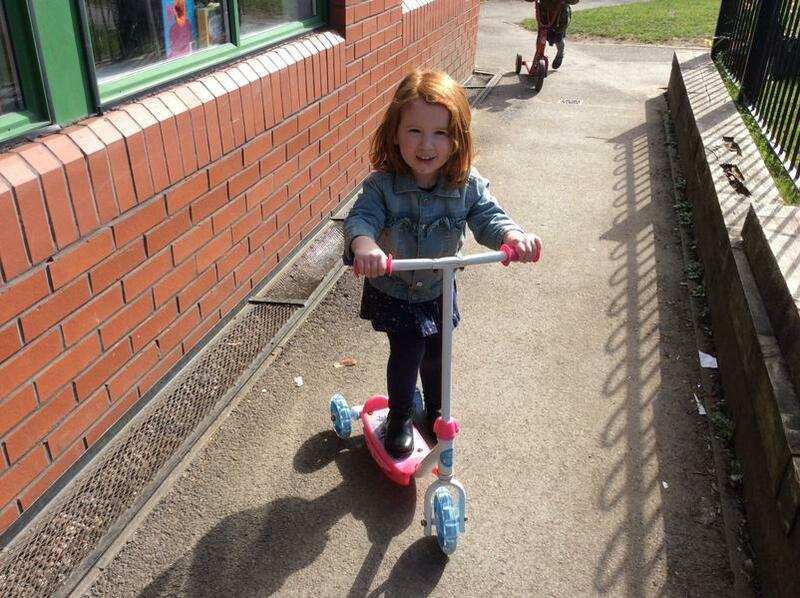 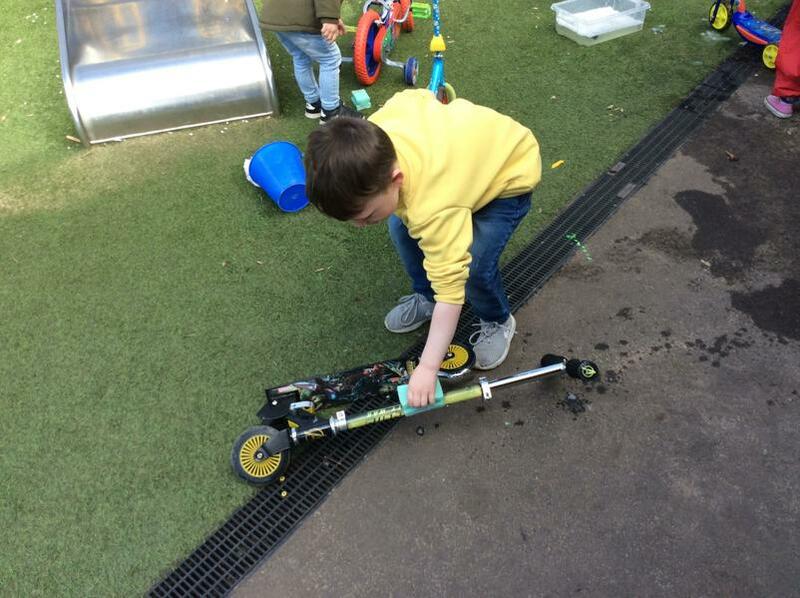 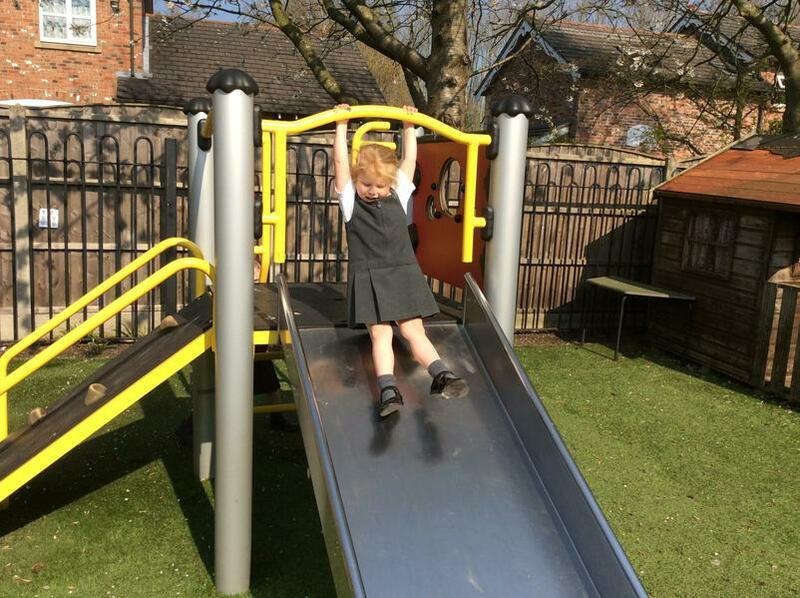 The children loved riding their sparkly clean bikes and scooters around the big playground. 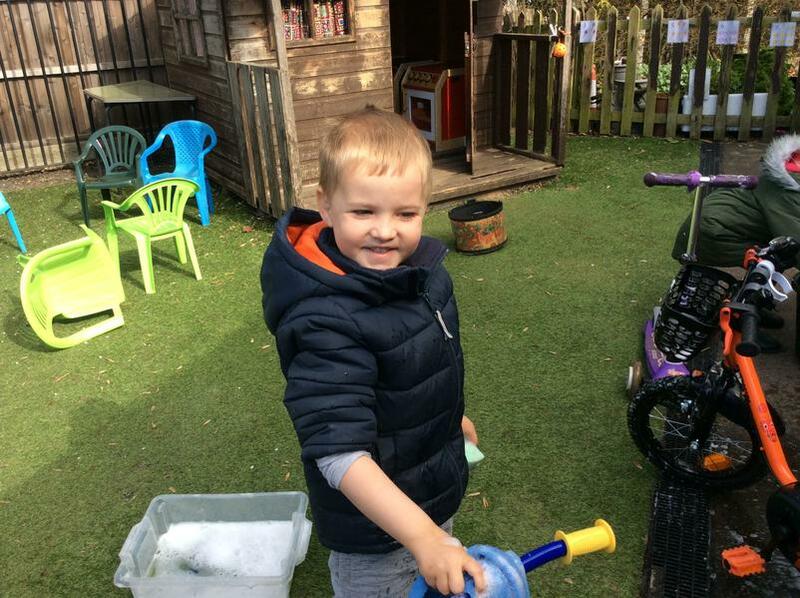 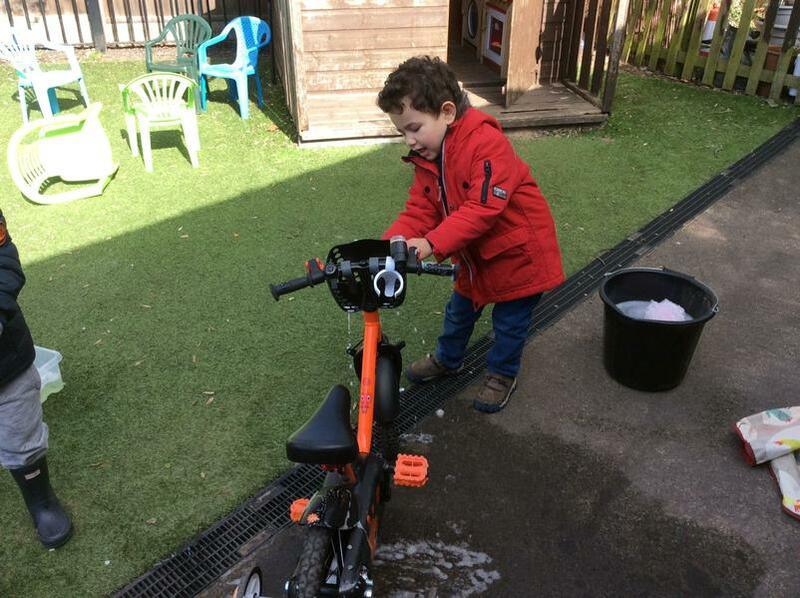 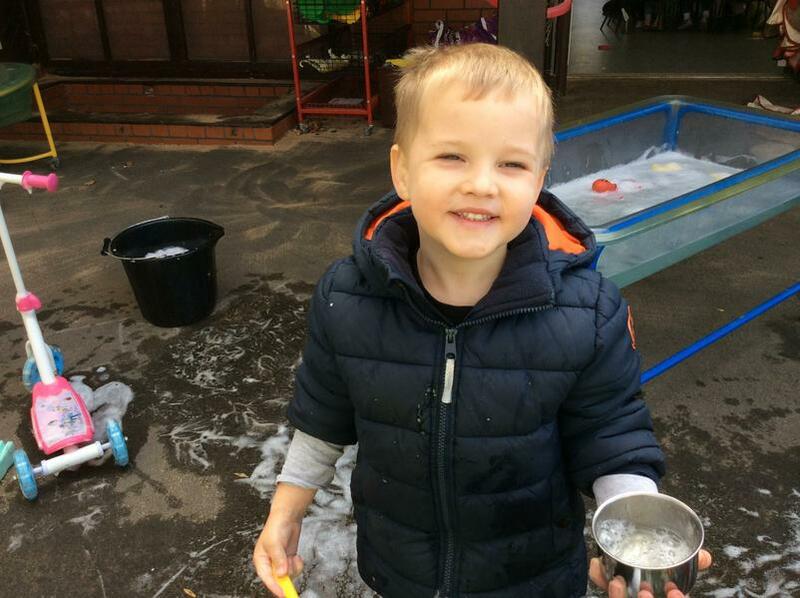 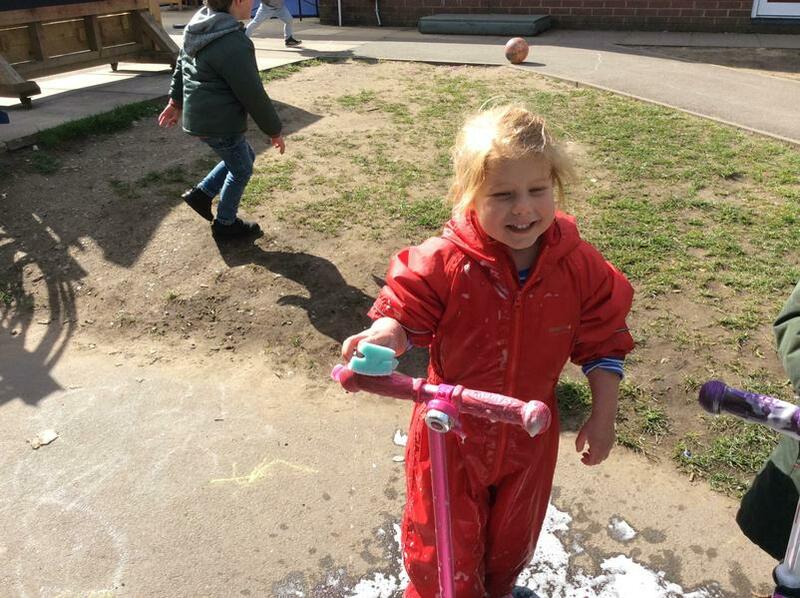 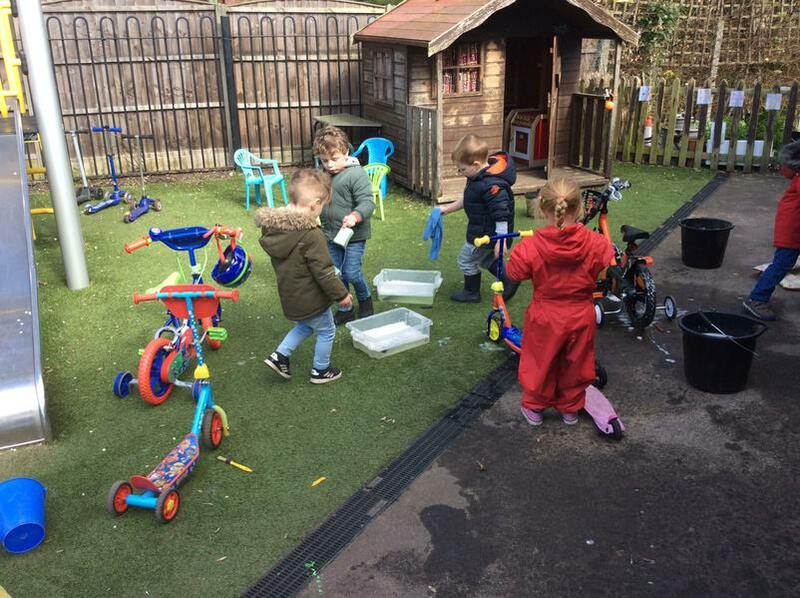 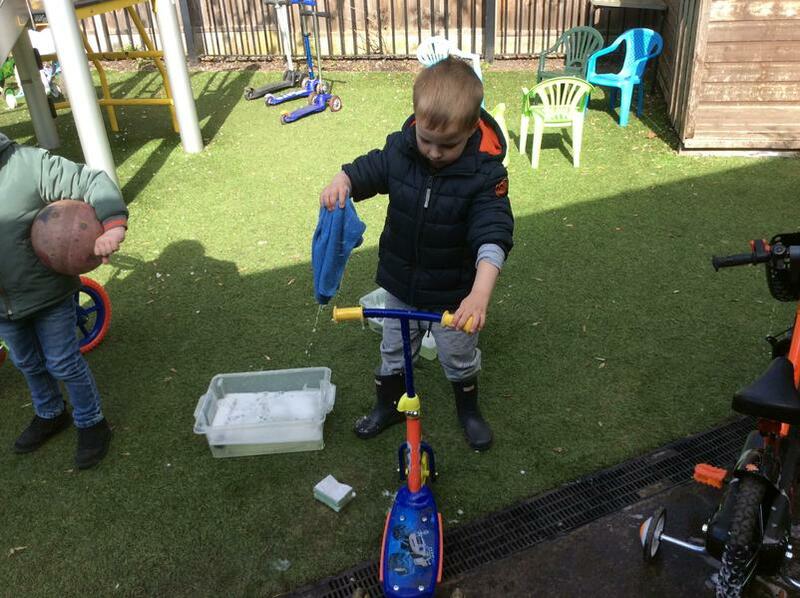 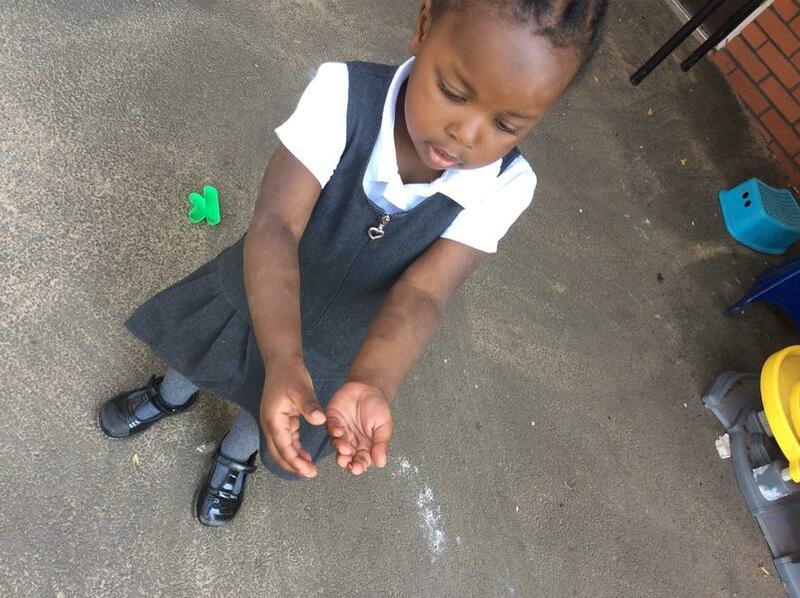 Our bike & scooter wash helped to raise over £40 for Cafod, thank you so much for all your donations. 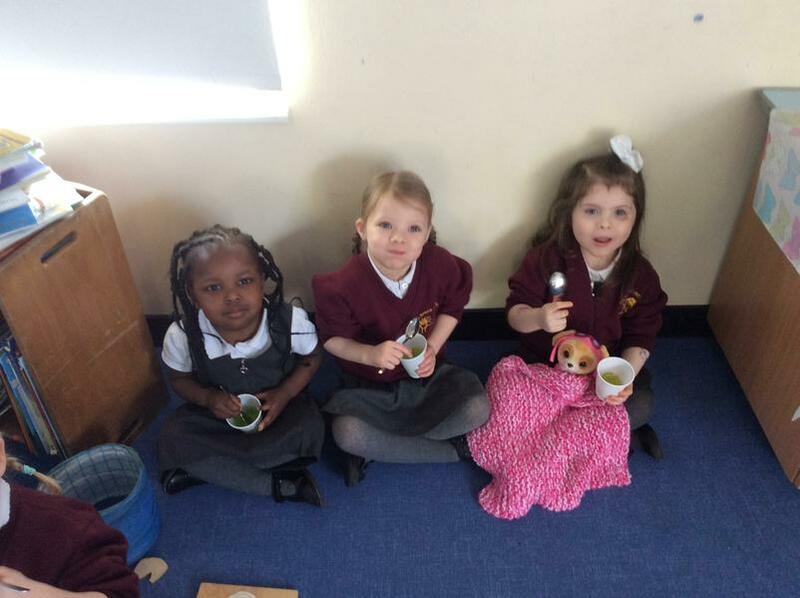 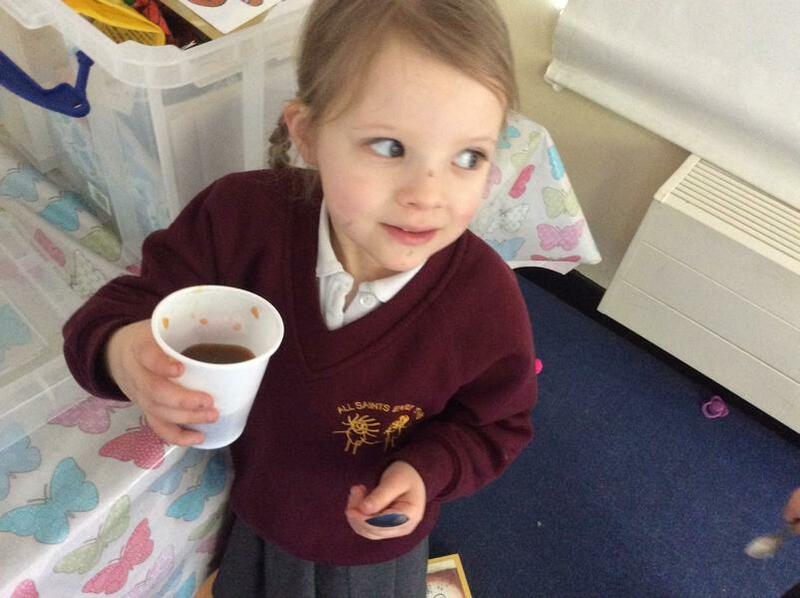 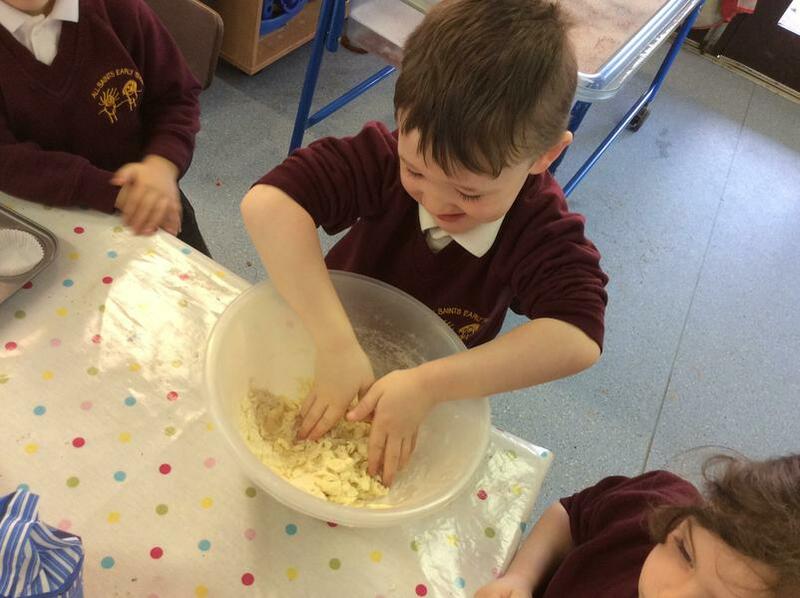 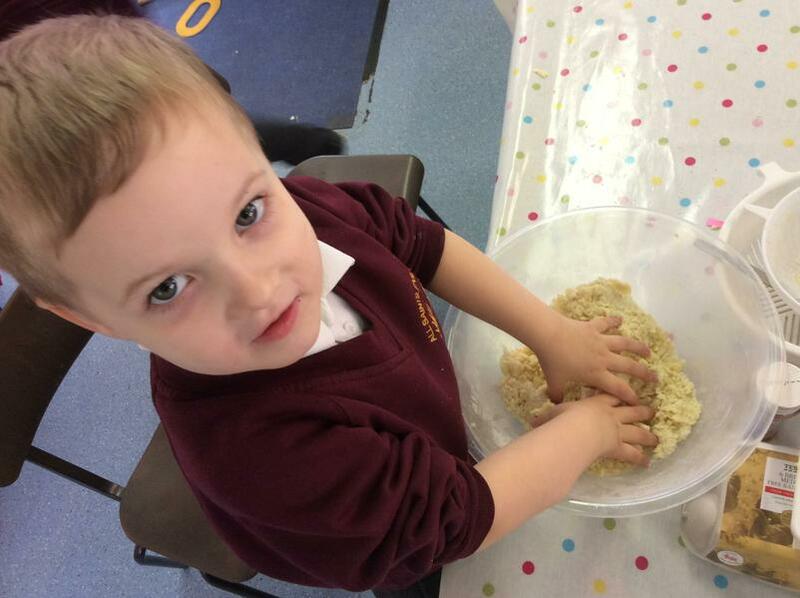 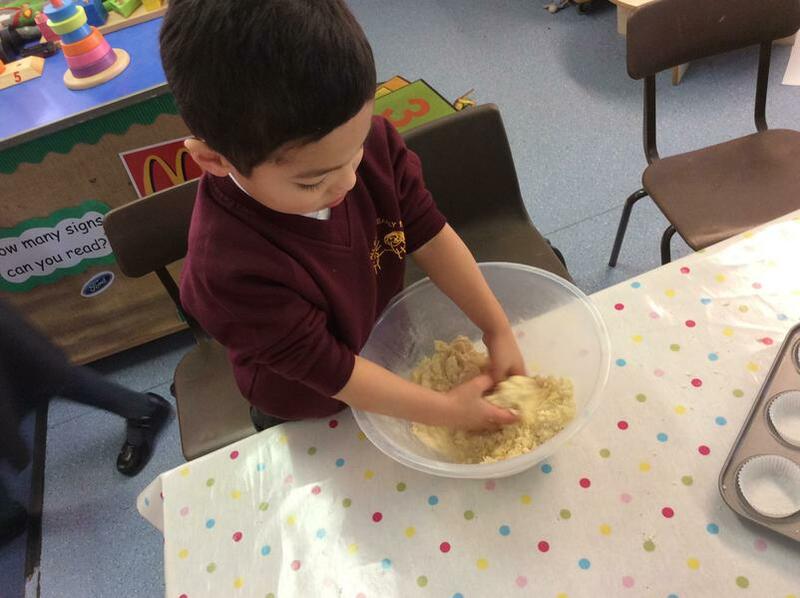 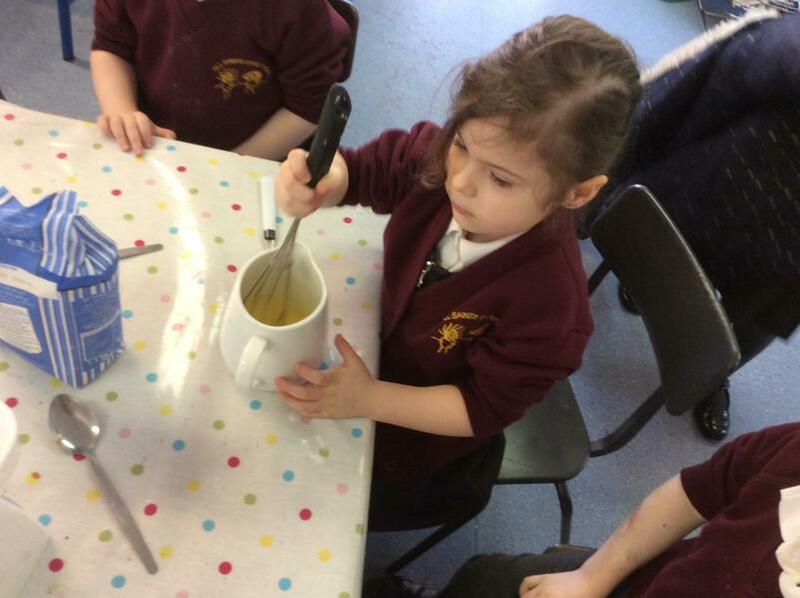 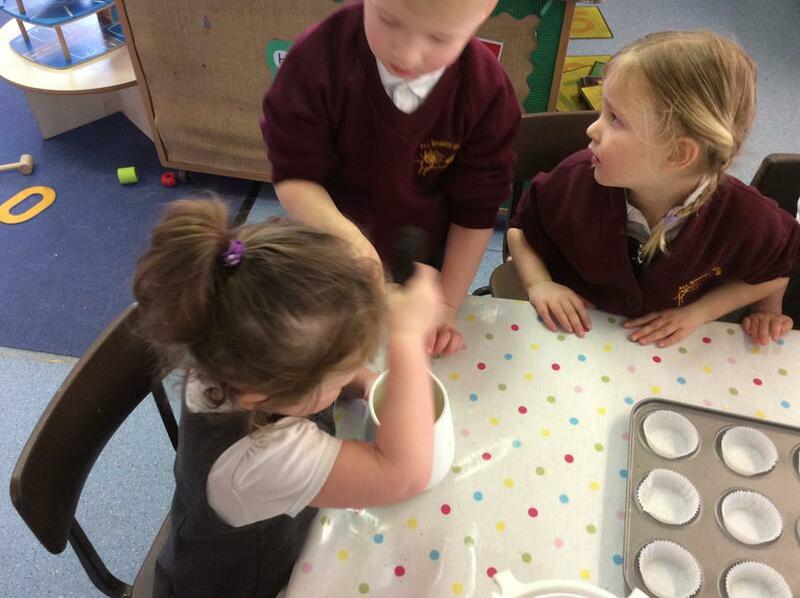 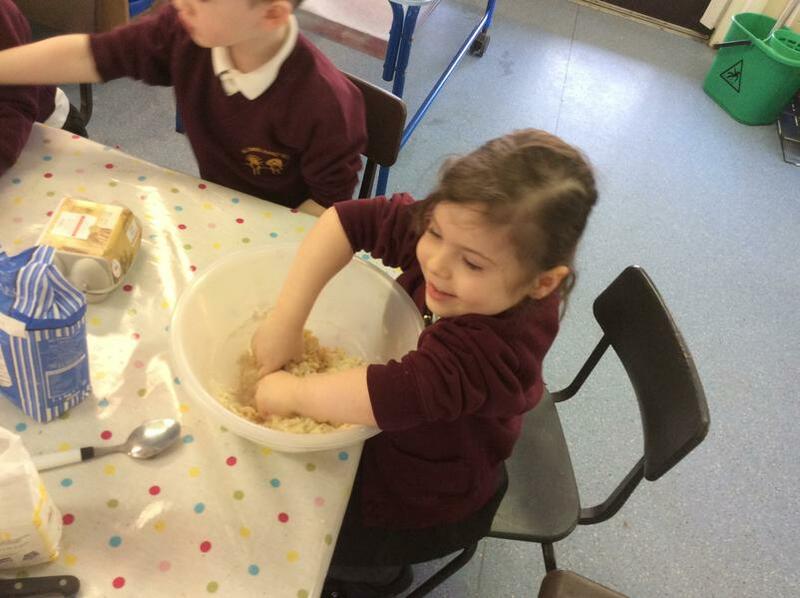 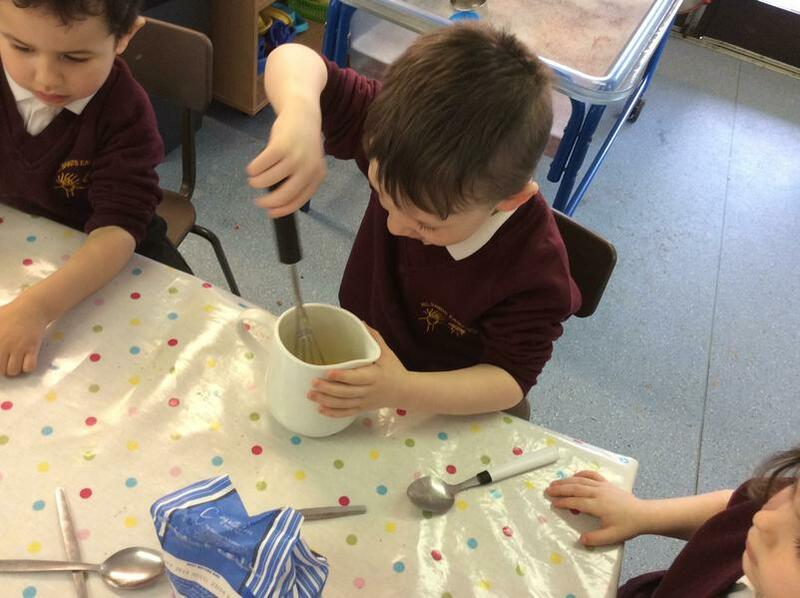 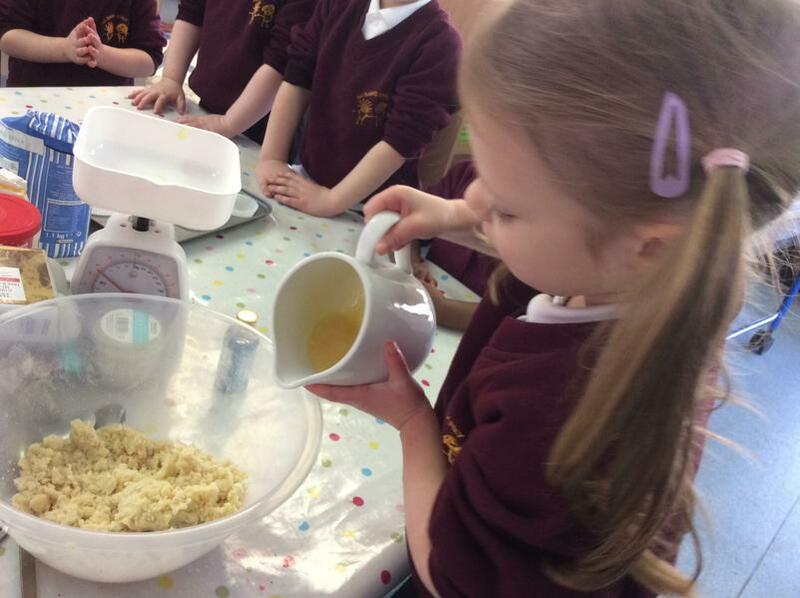 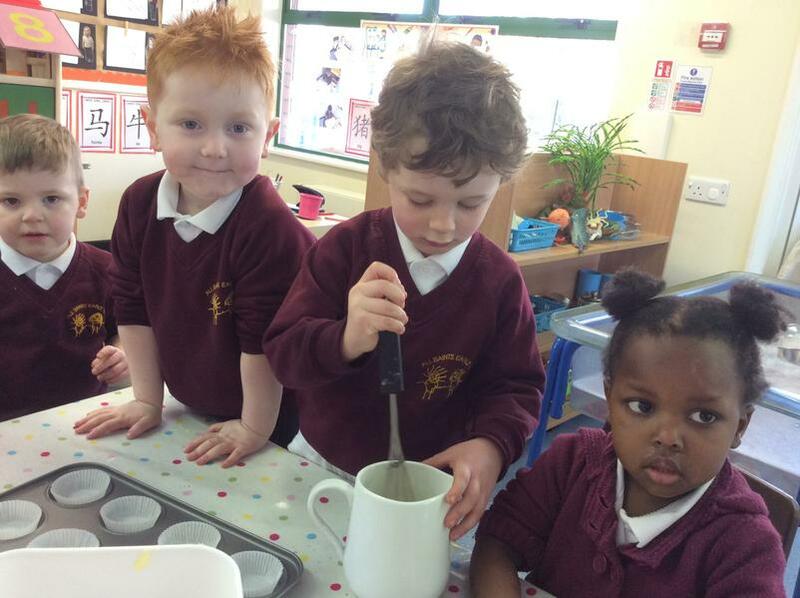 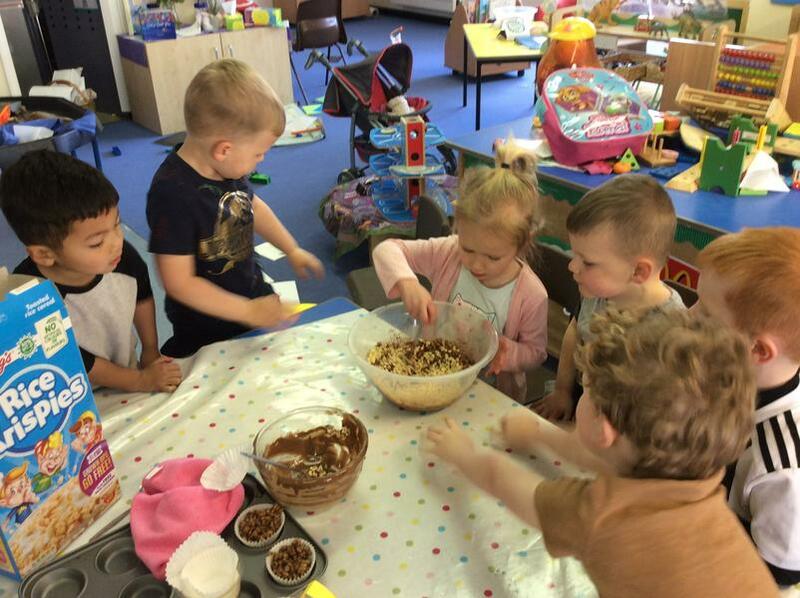 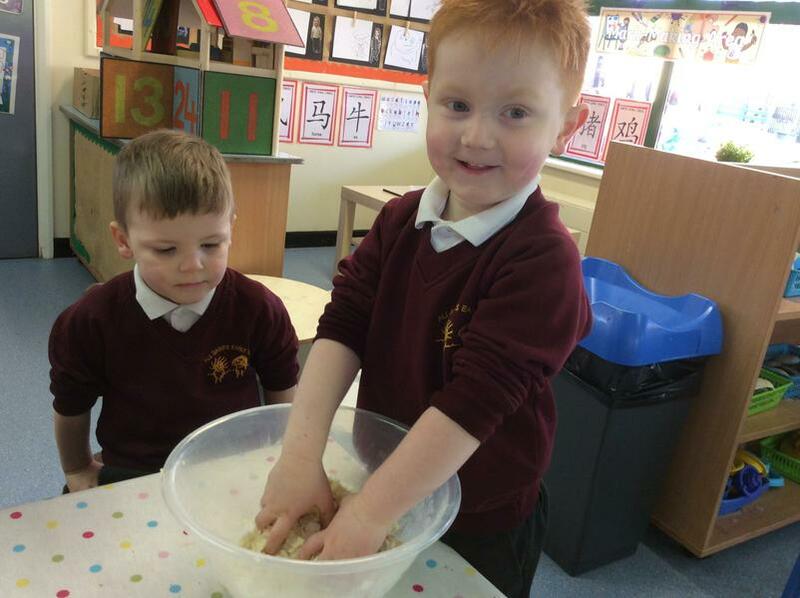 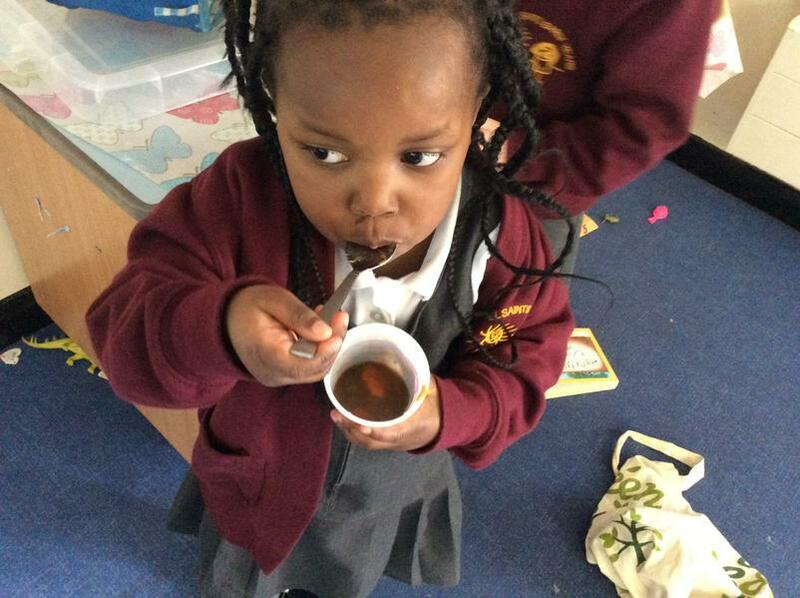 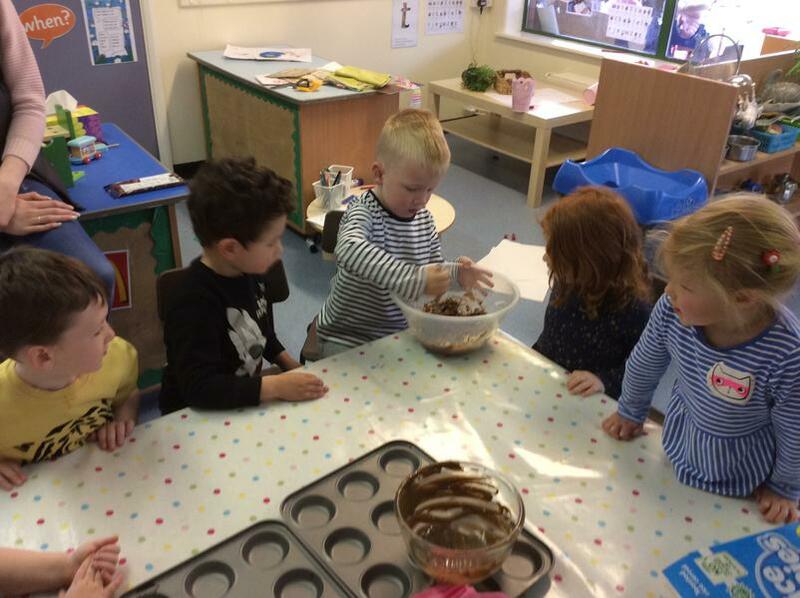 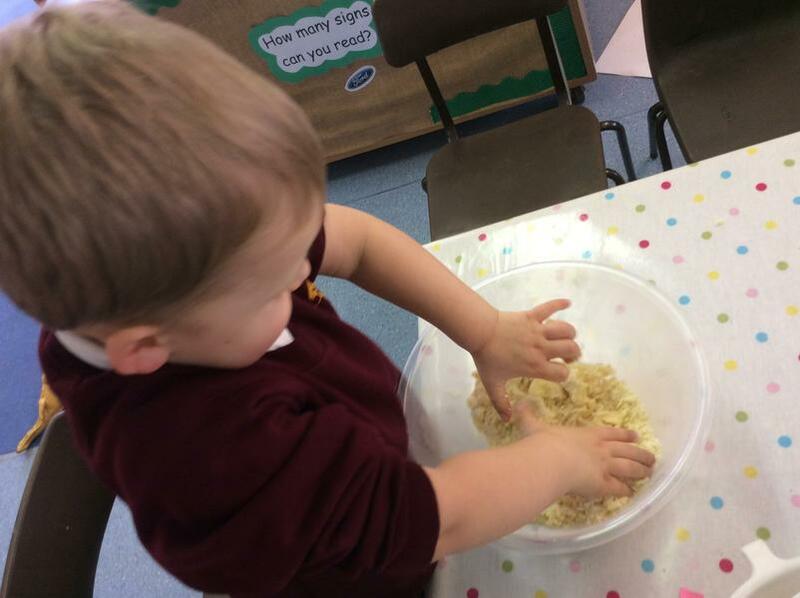 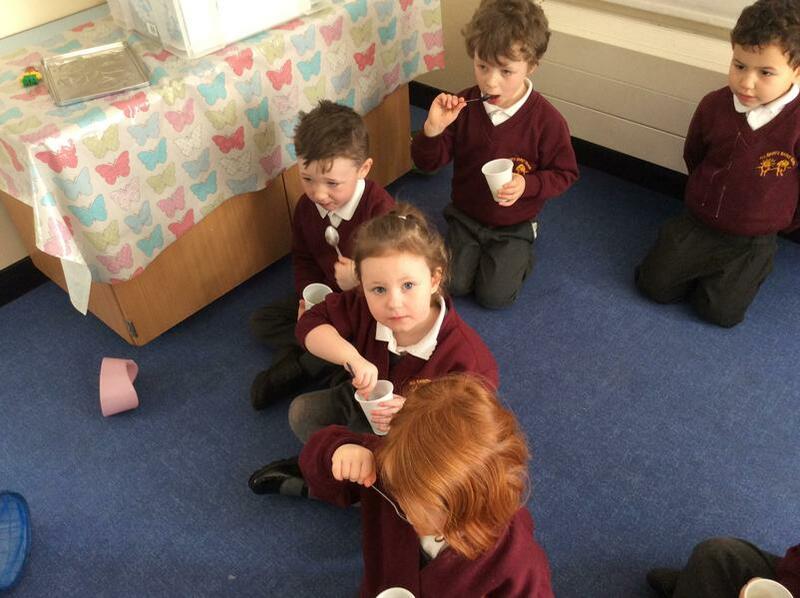 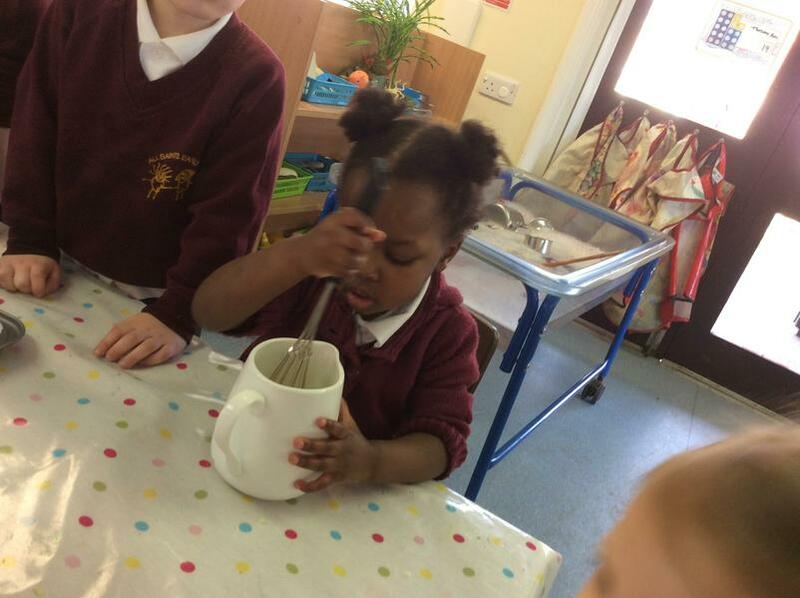 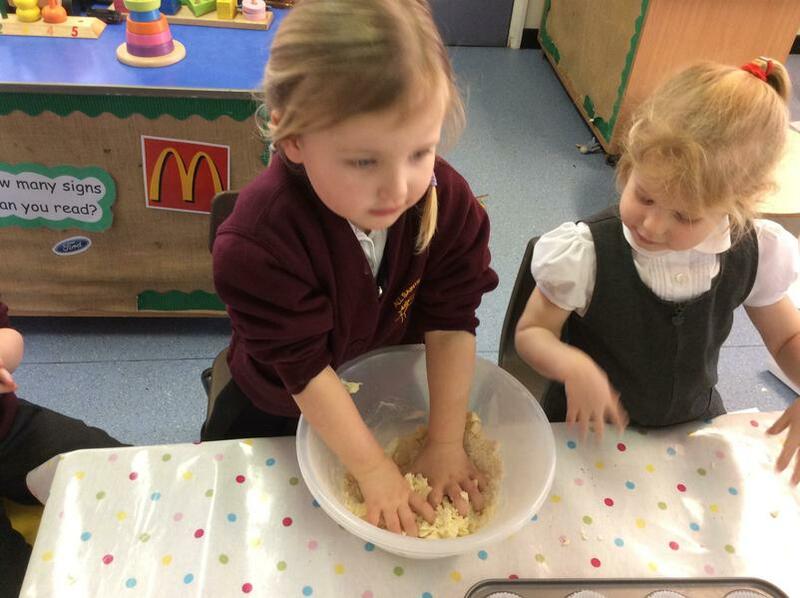 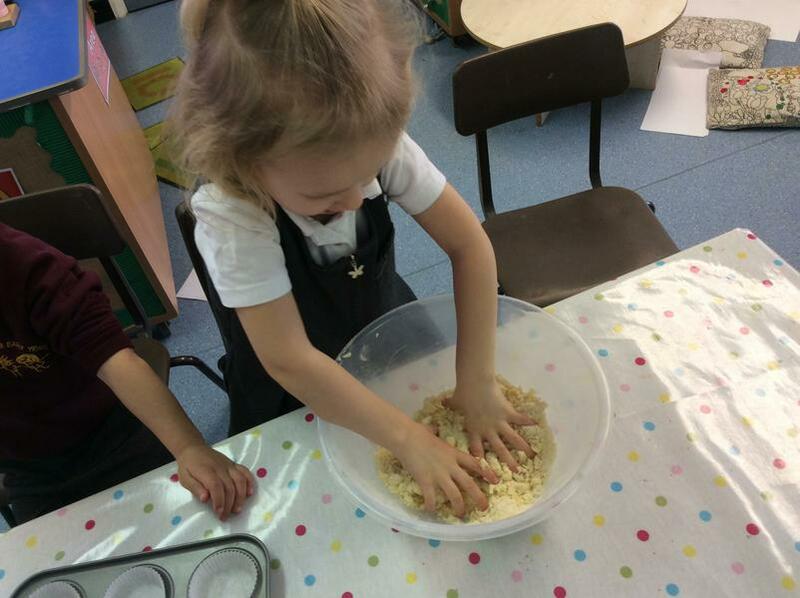 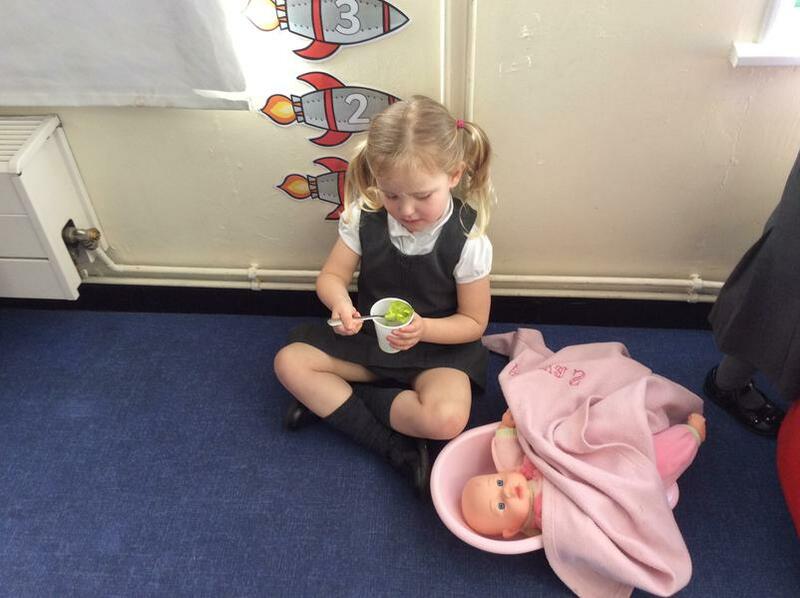 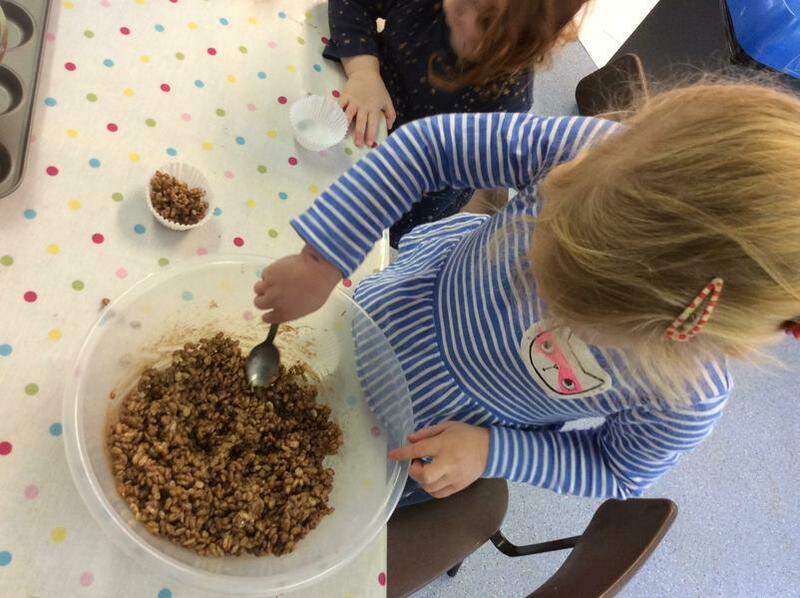 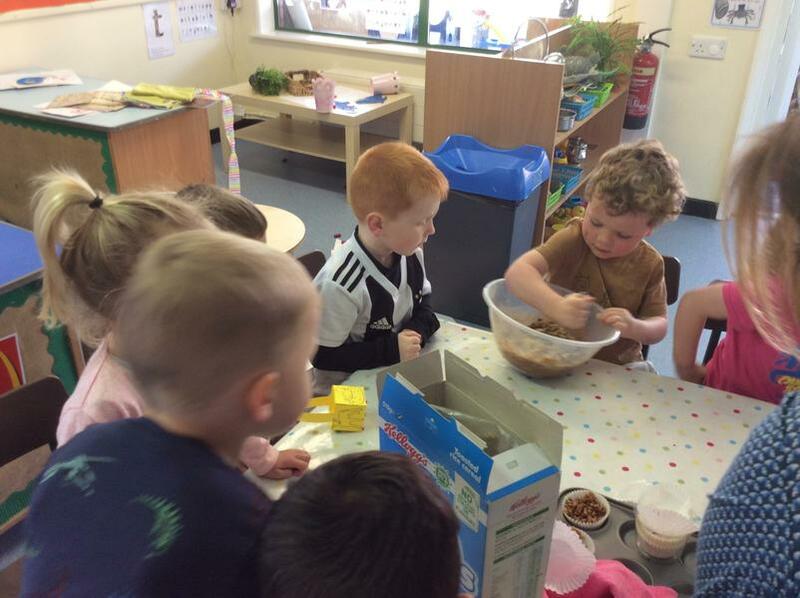 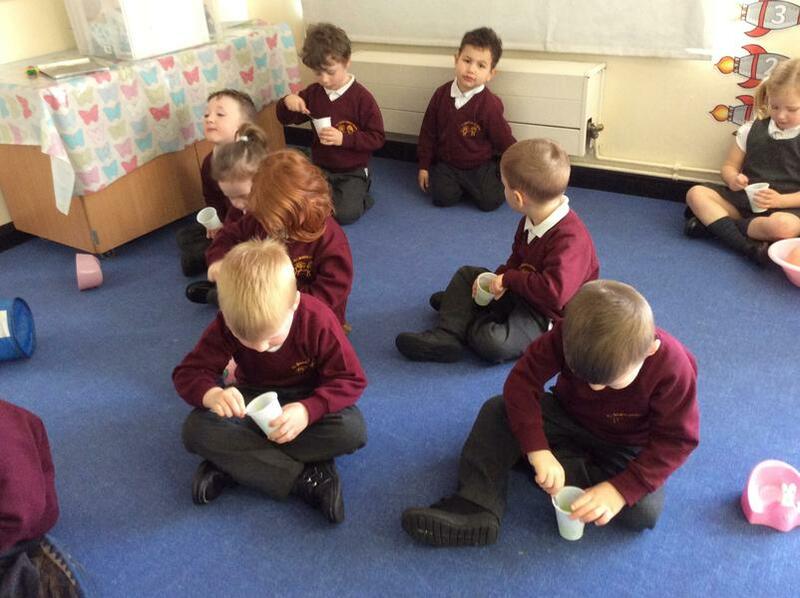 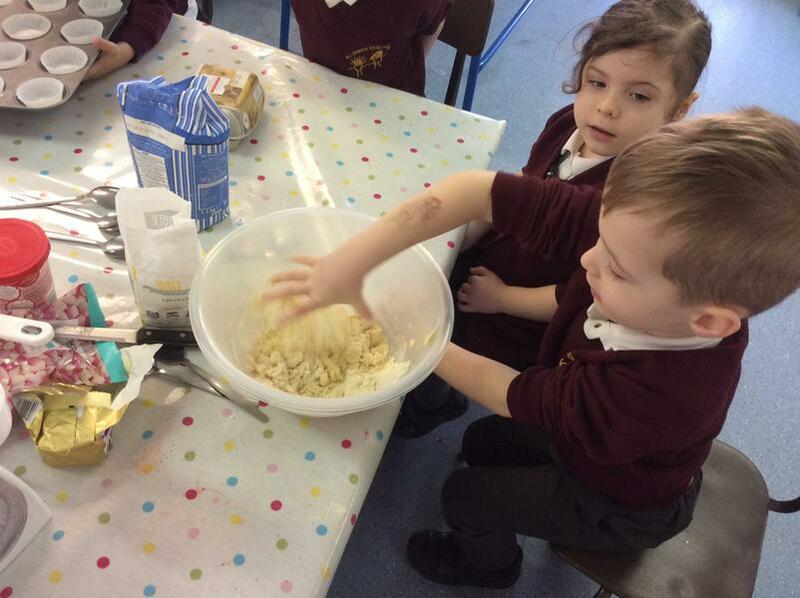 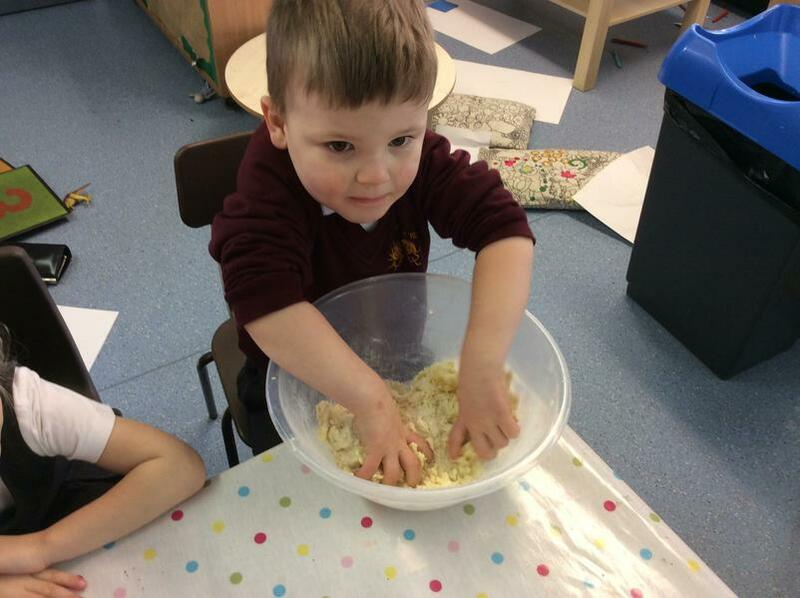 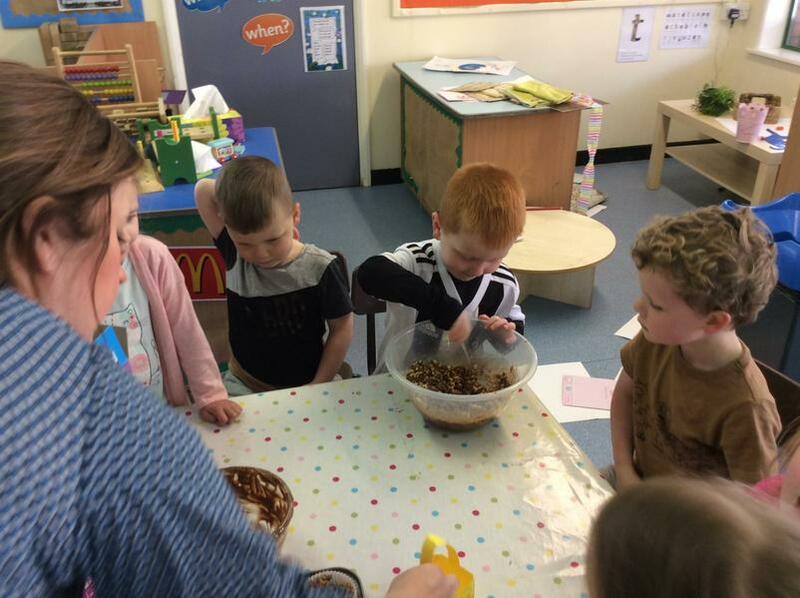 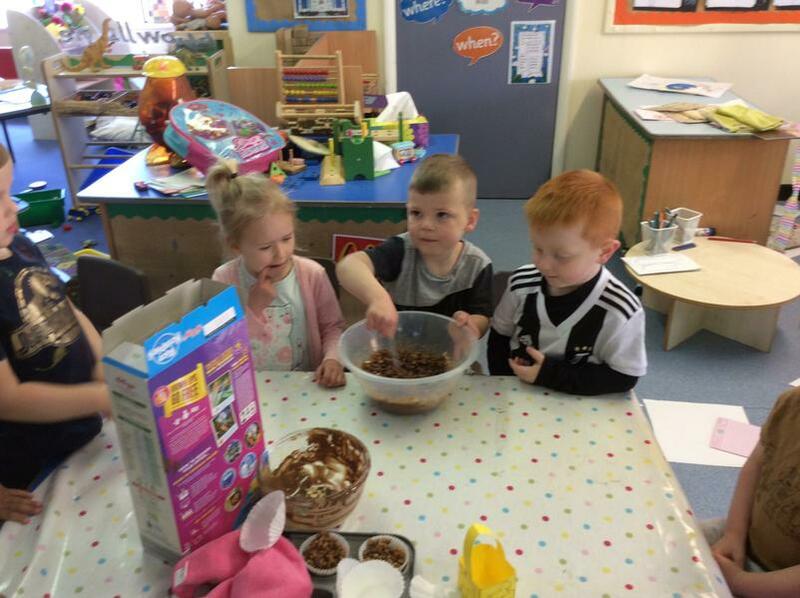 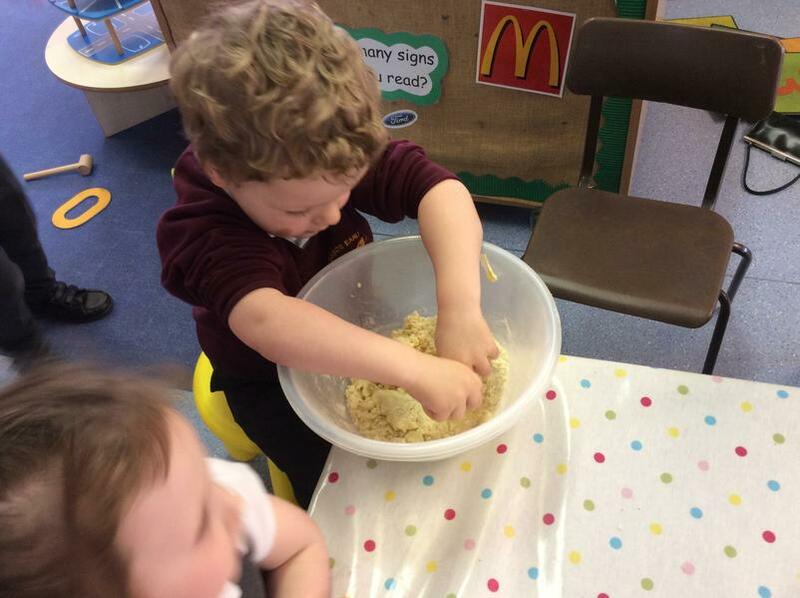 We talked about how we could melt the chocolate and we all helped to mix in the rice crispies. 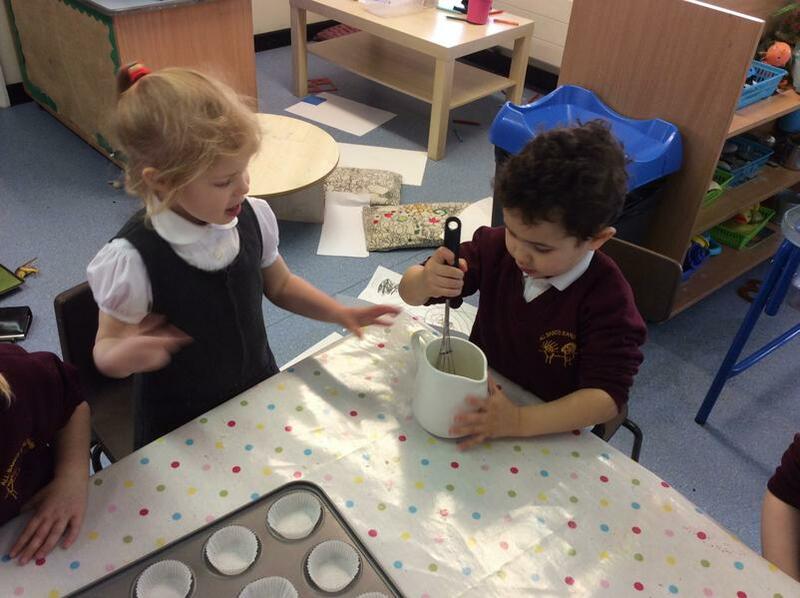 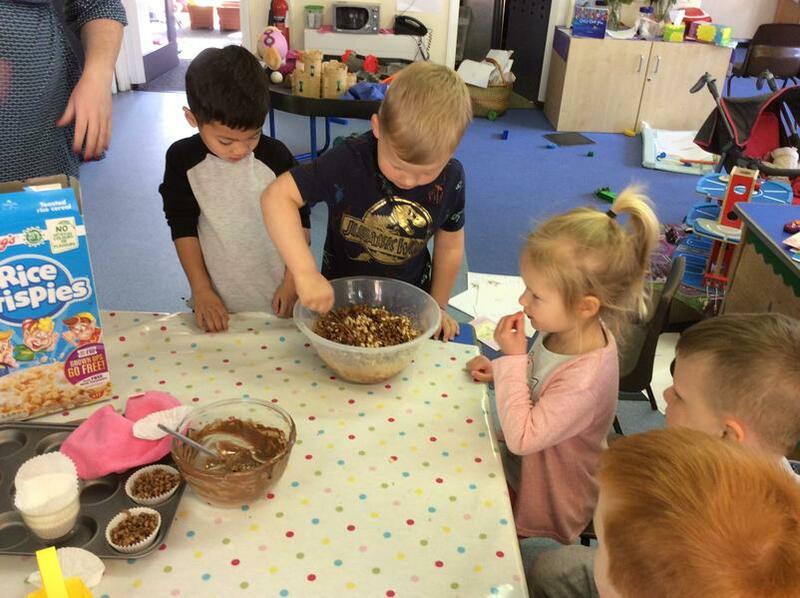 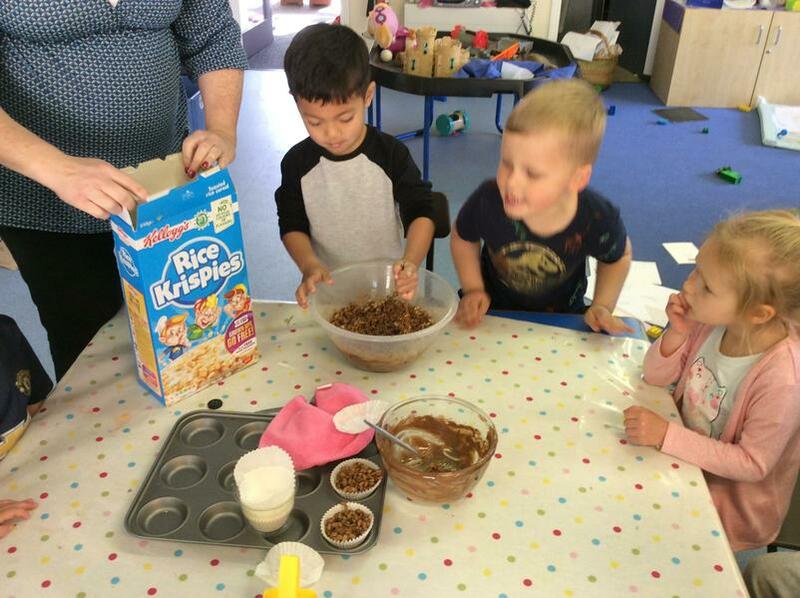 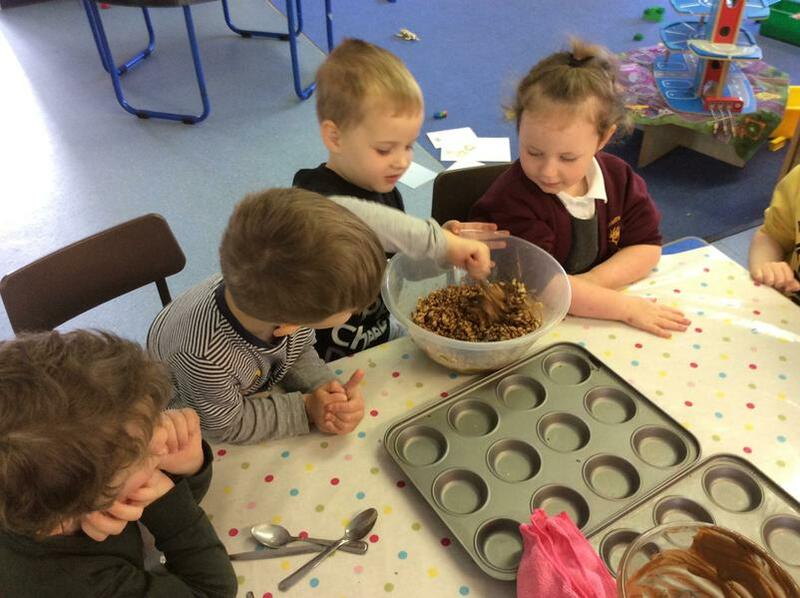 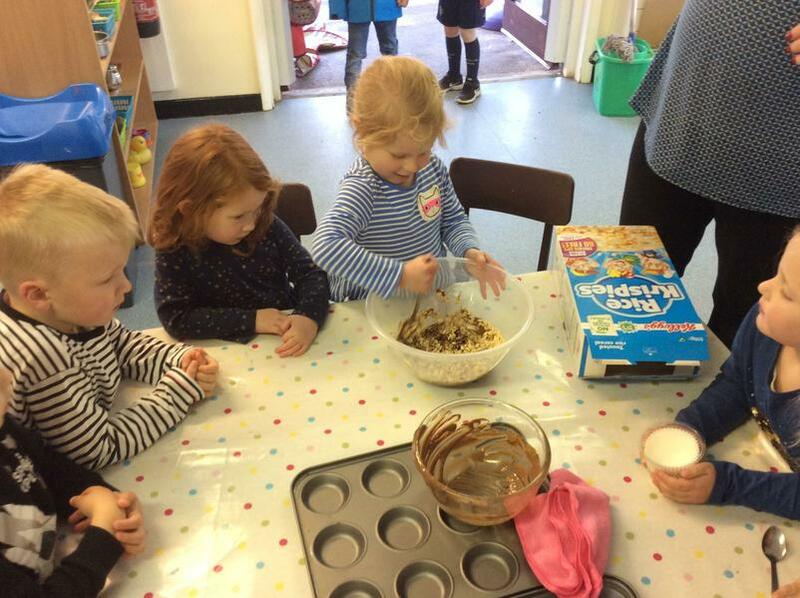 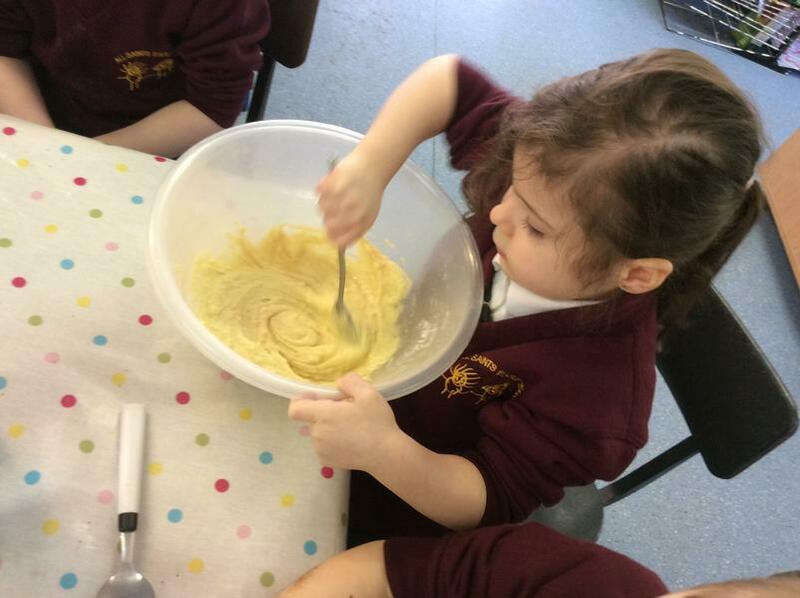 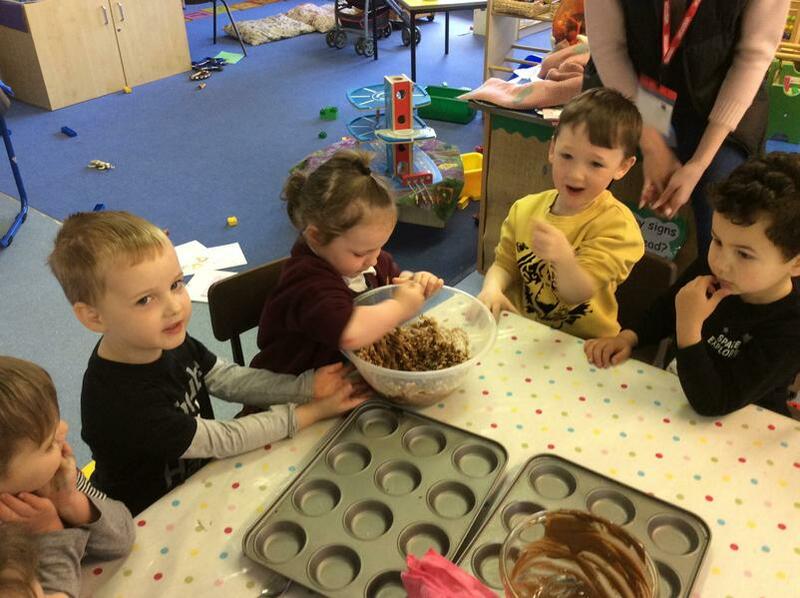 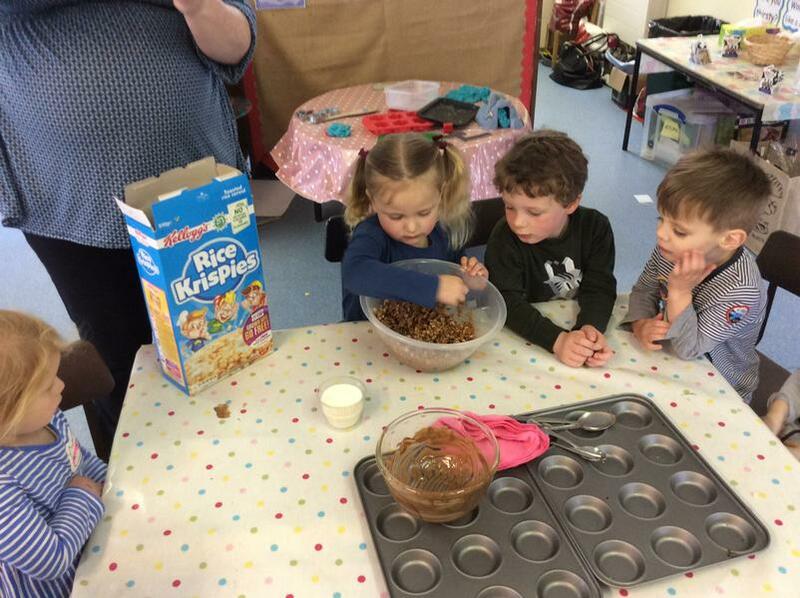 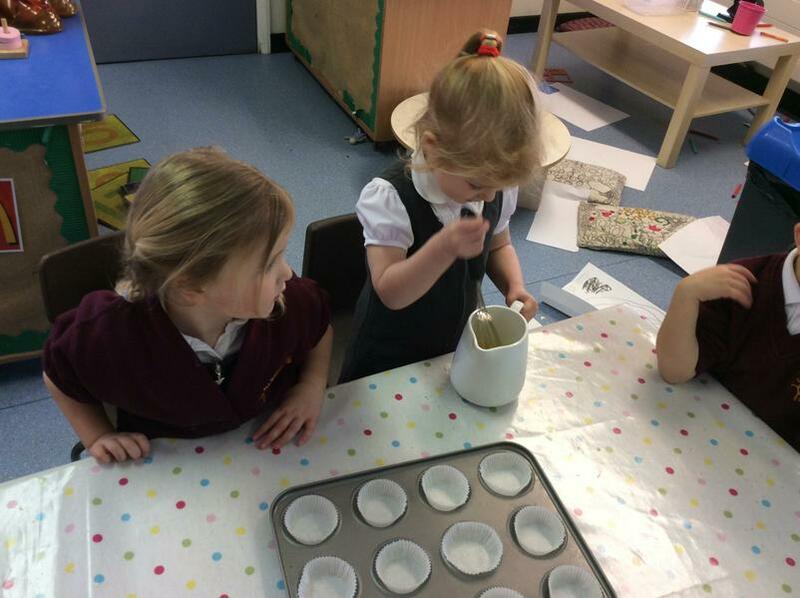 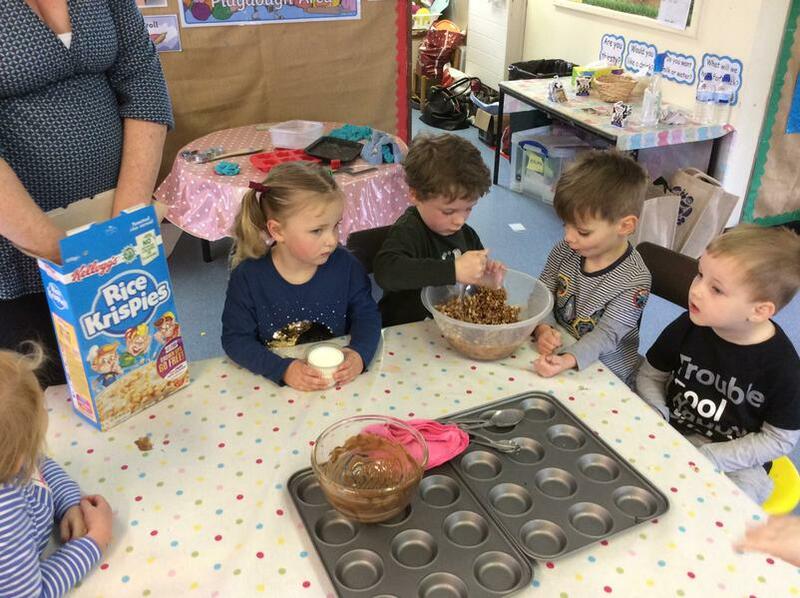 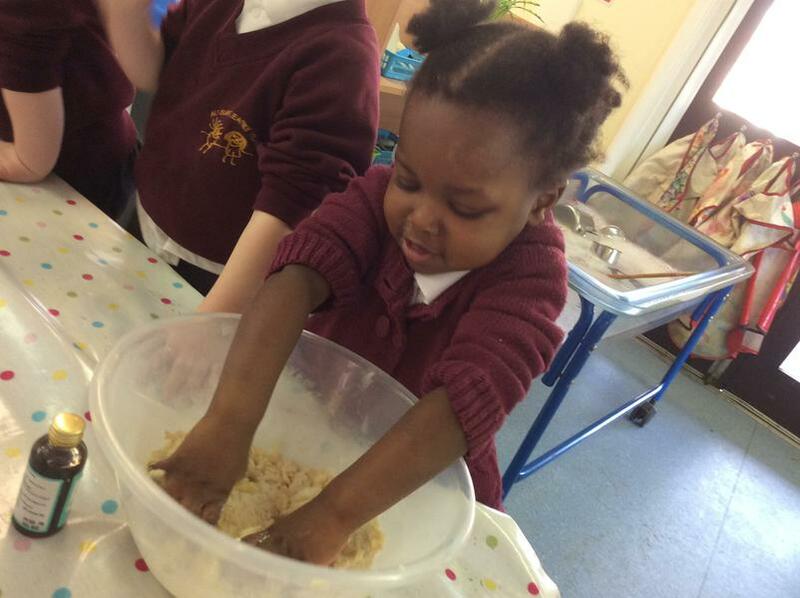 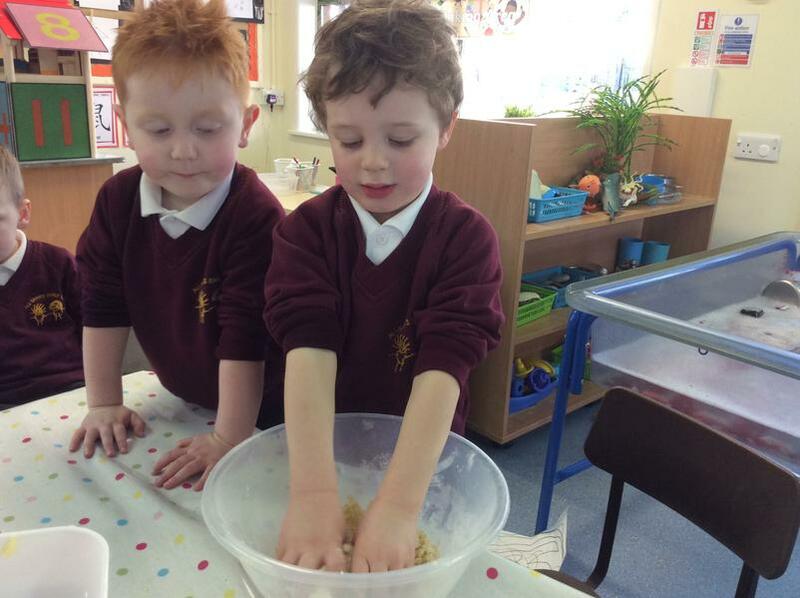 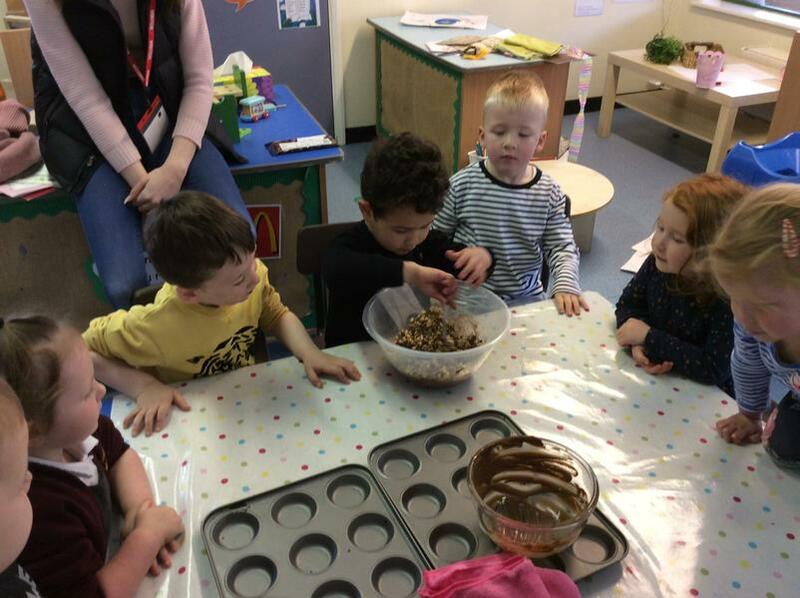 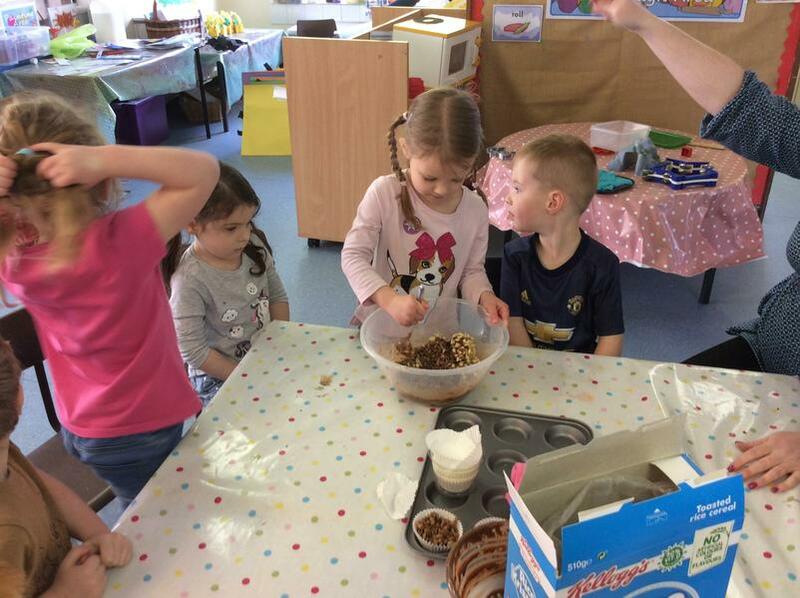 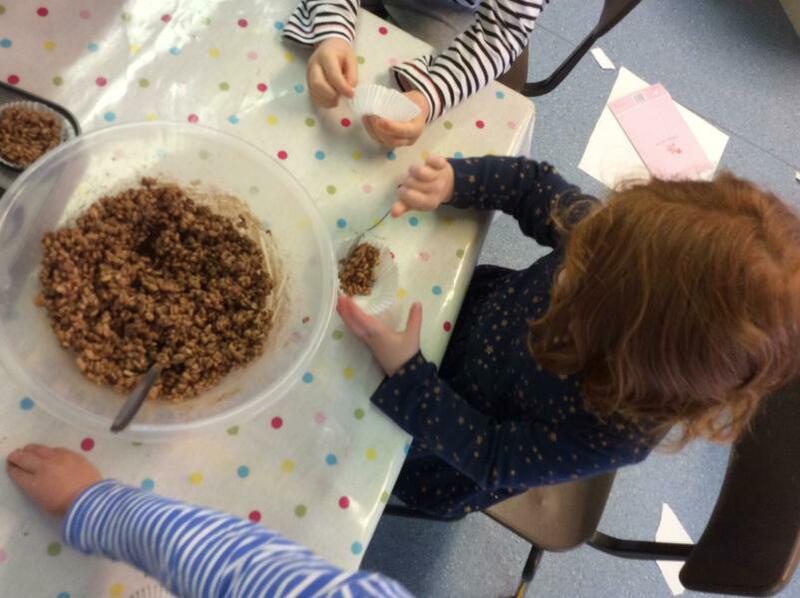 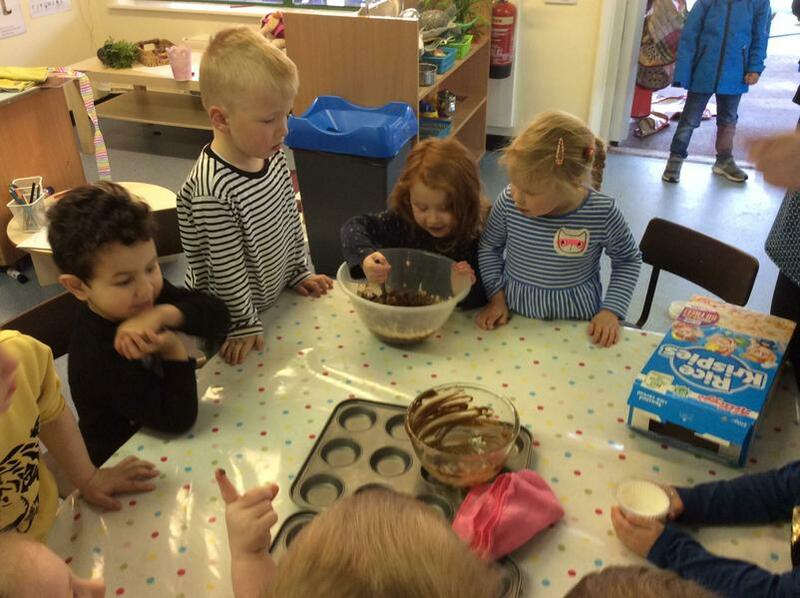 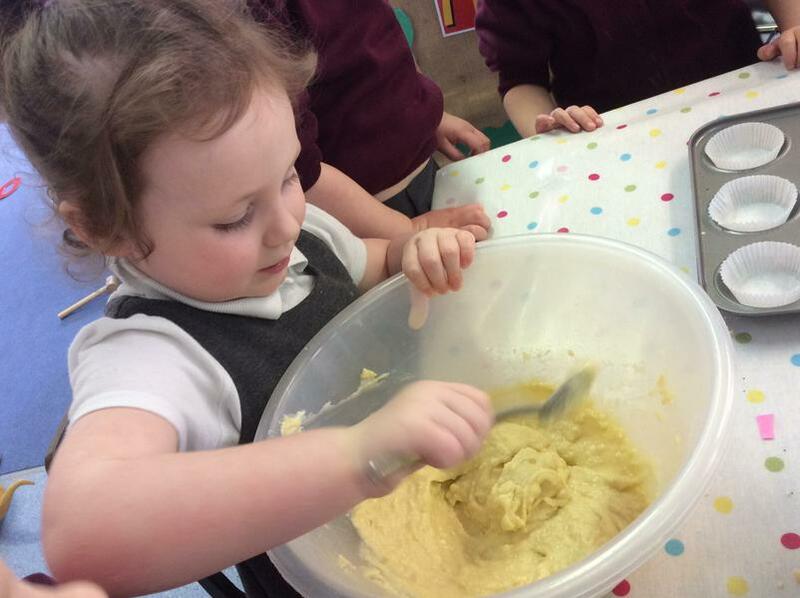 We carefully counted how many spoons of chocolate ricecrispies would fit into our cake cases.